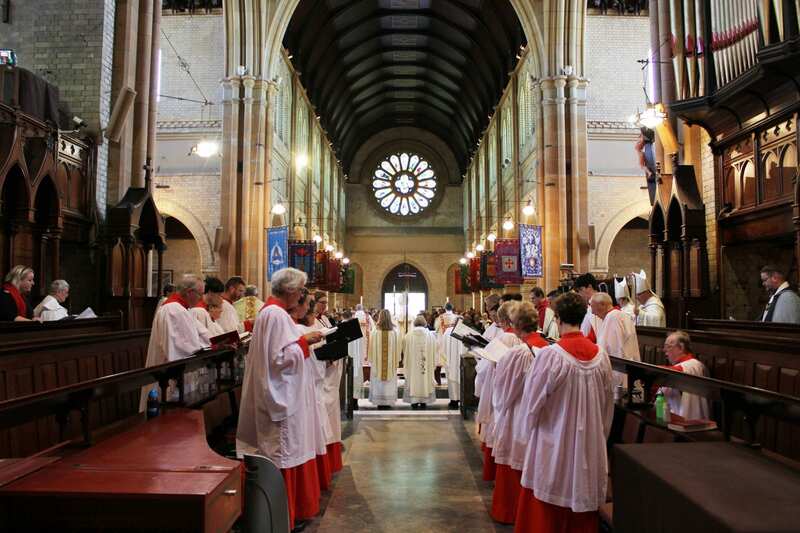 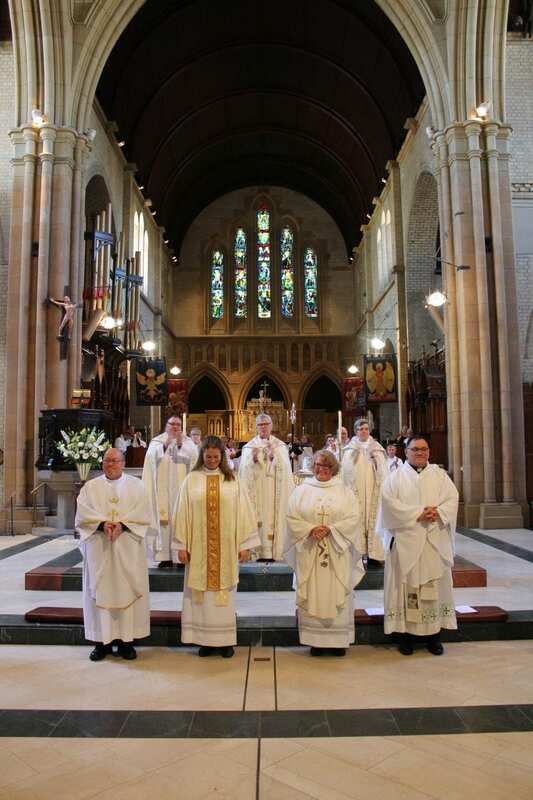 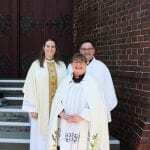 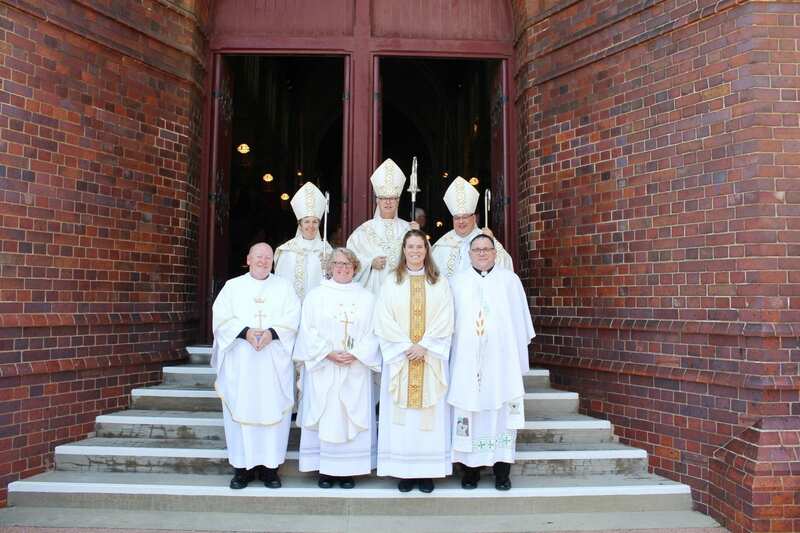 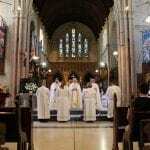 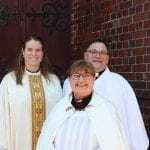 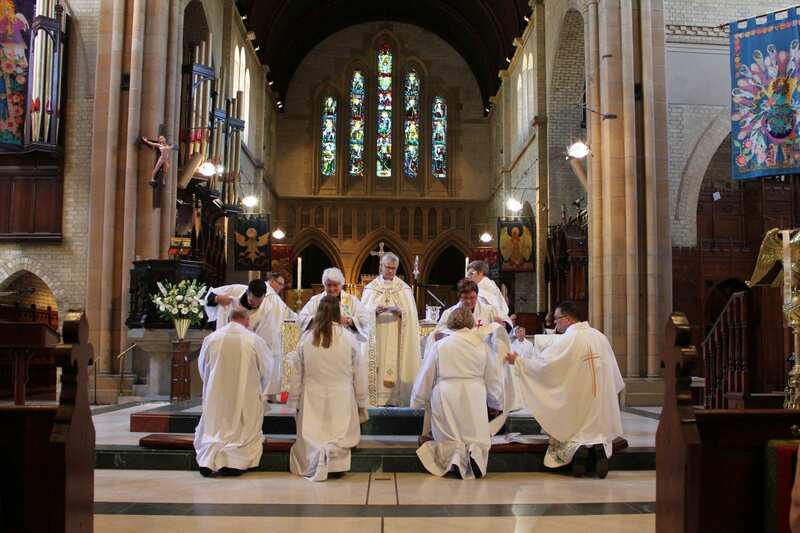 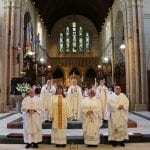 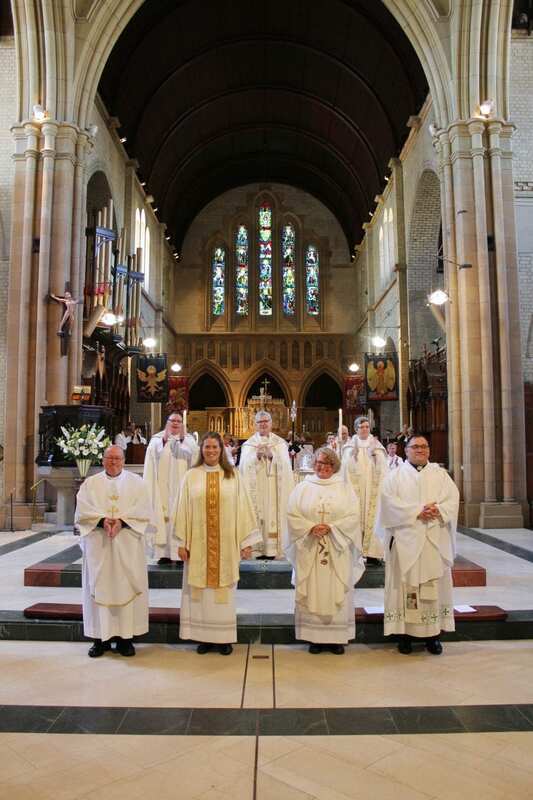 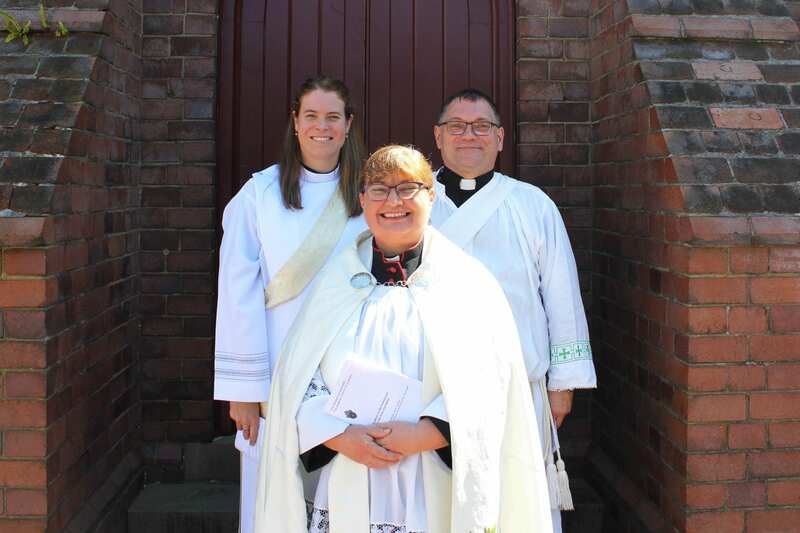 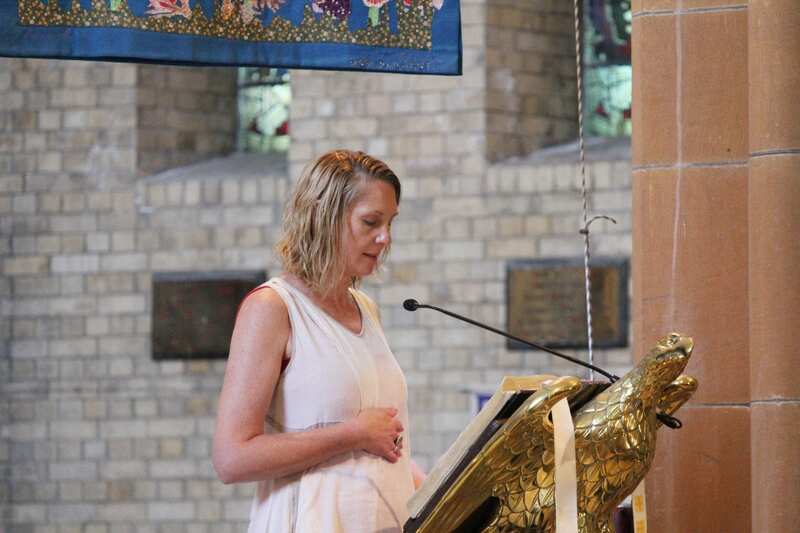 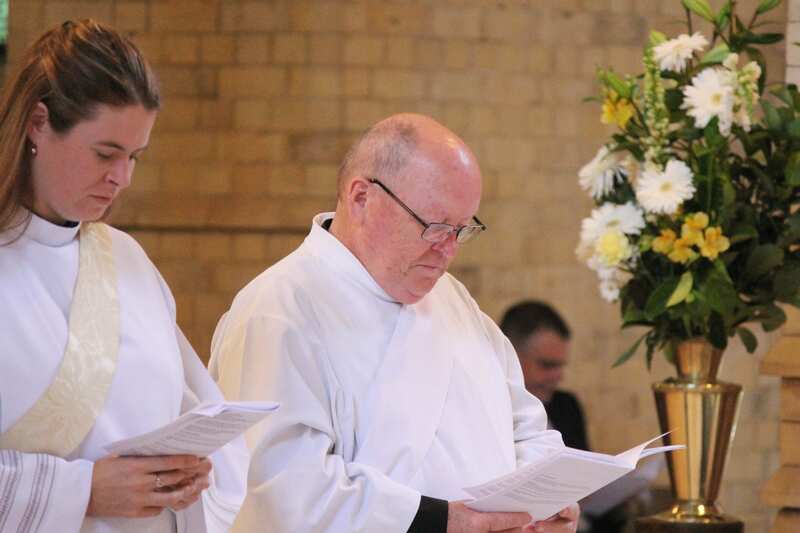 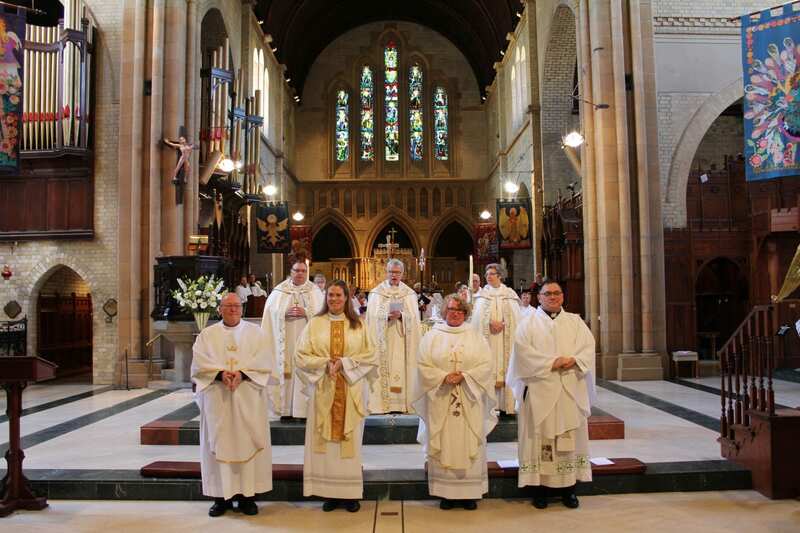 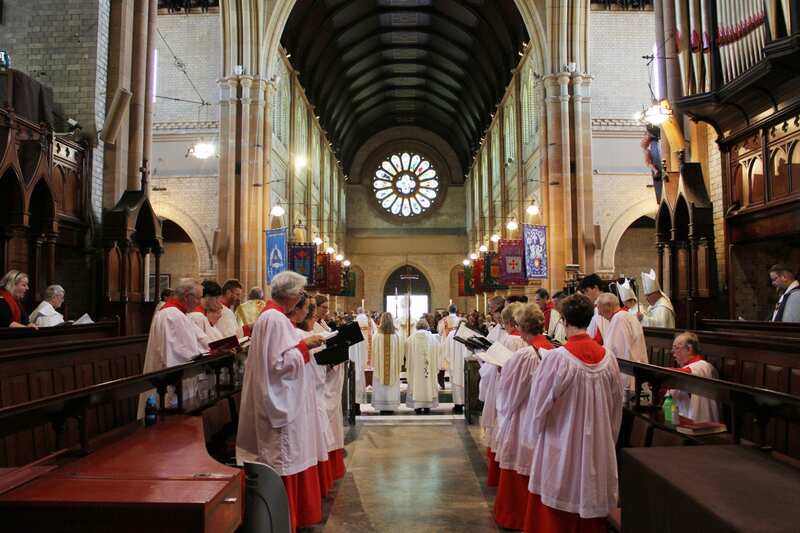 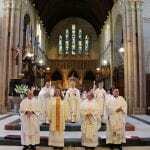 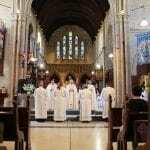 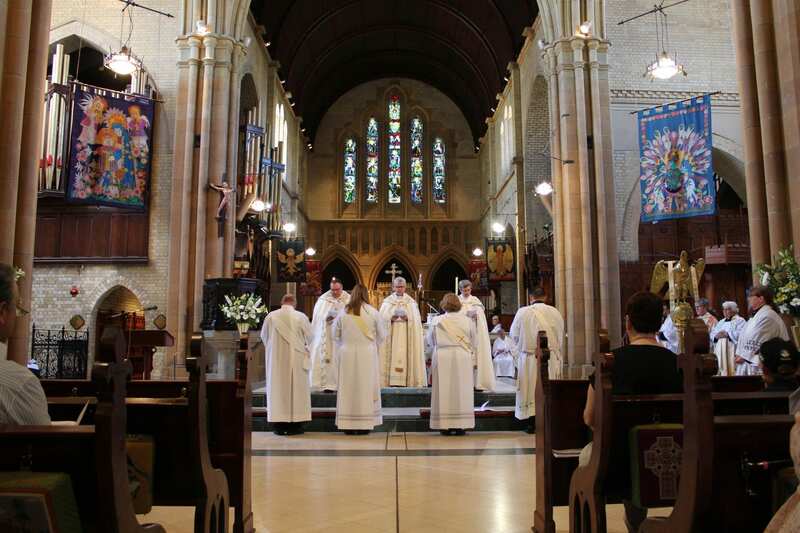 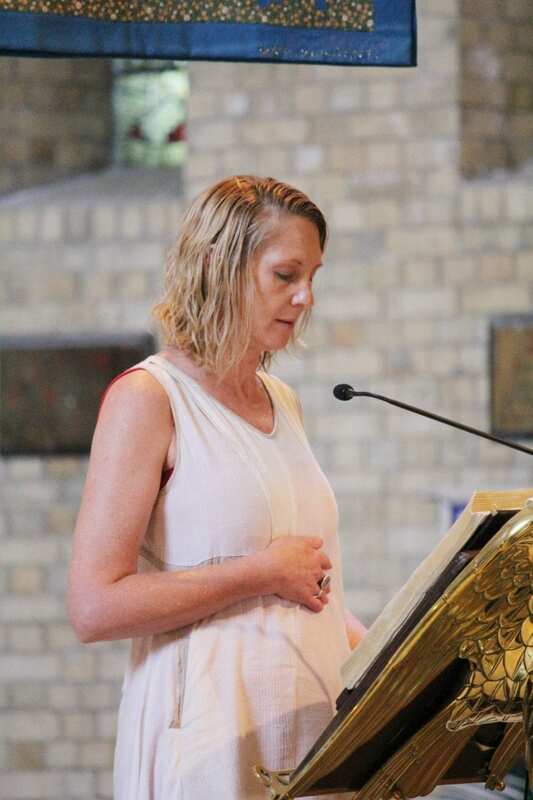 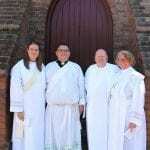 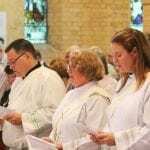 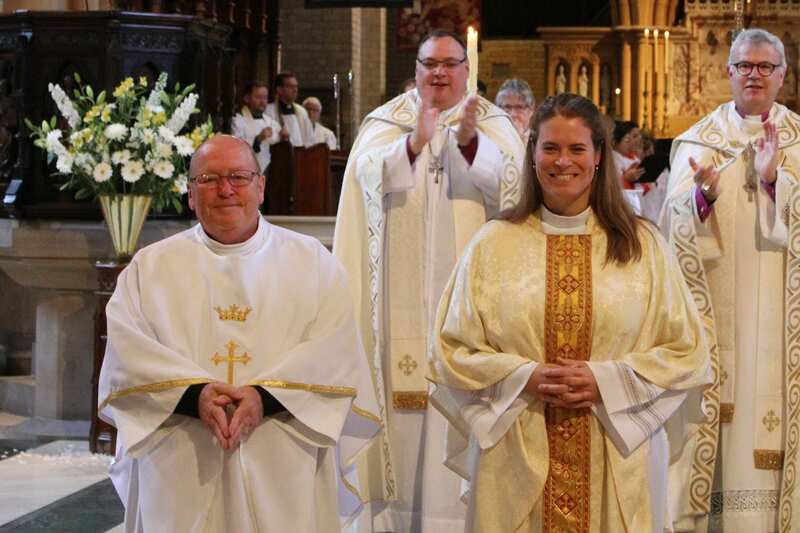 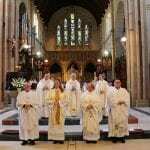 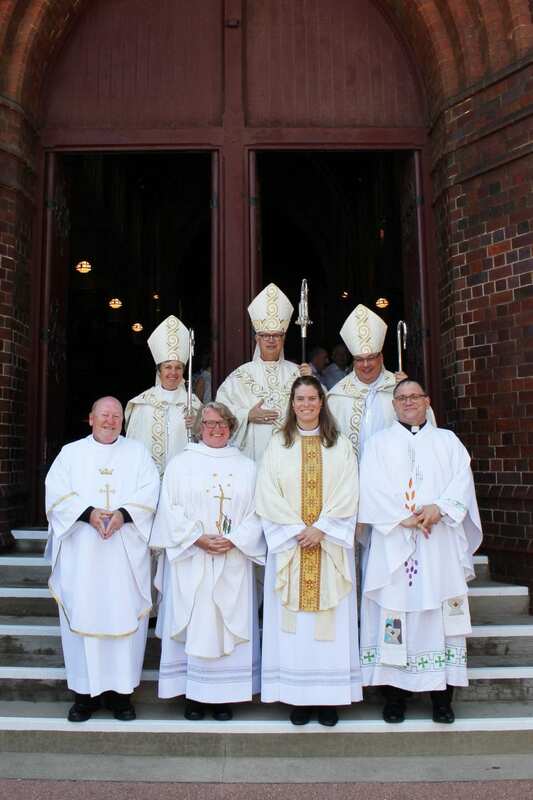 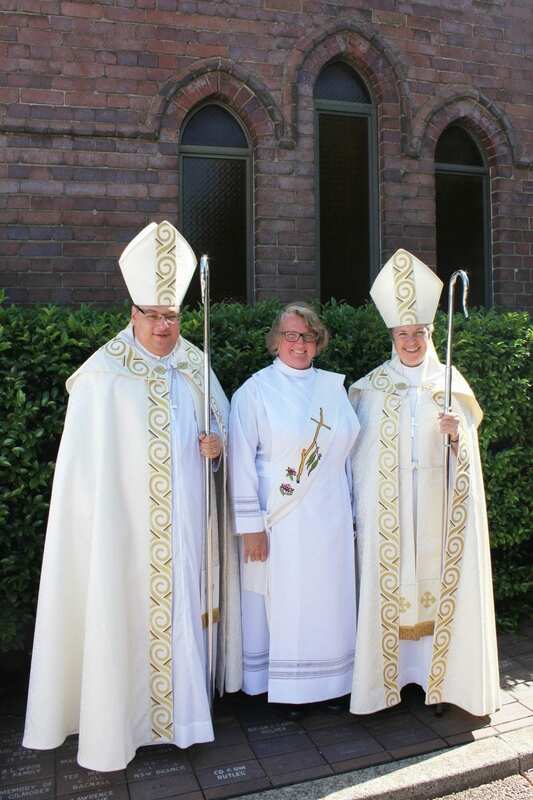 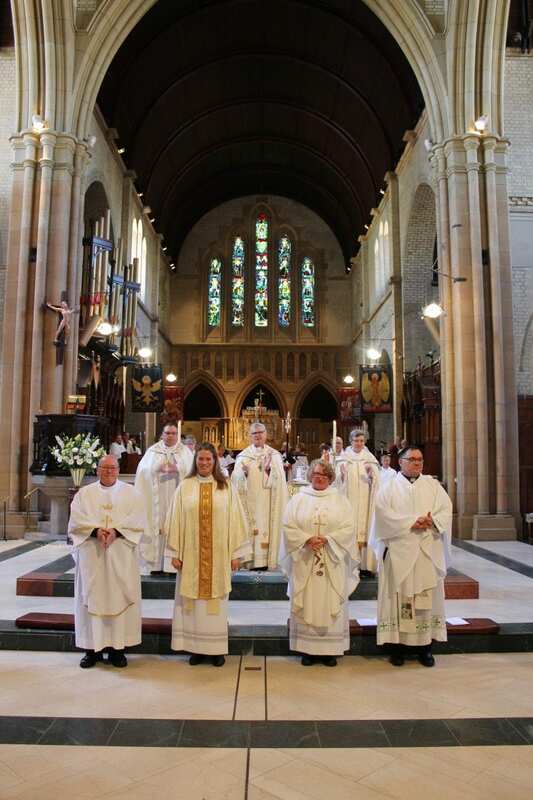 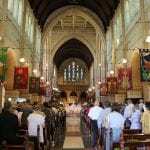 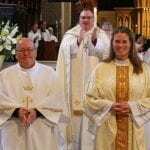 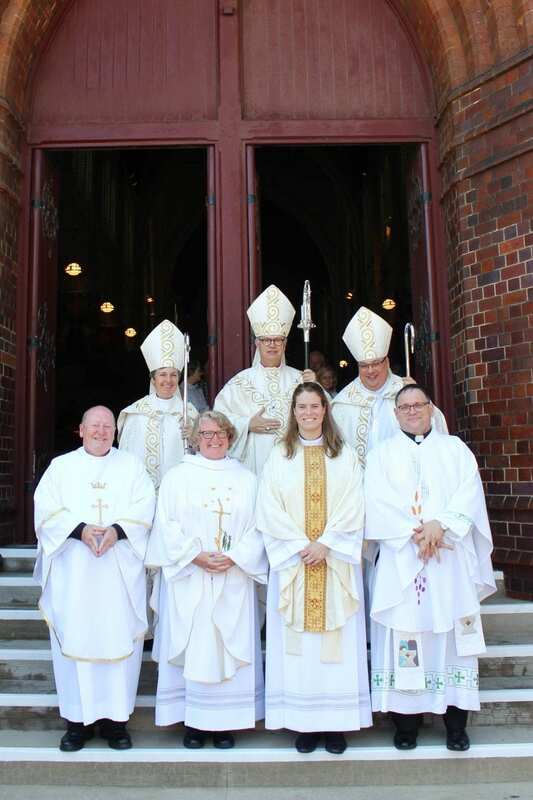 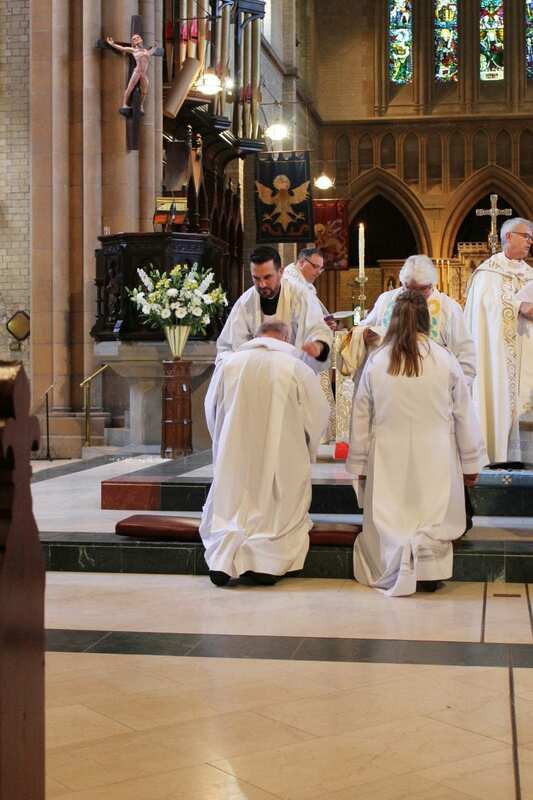 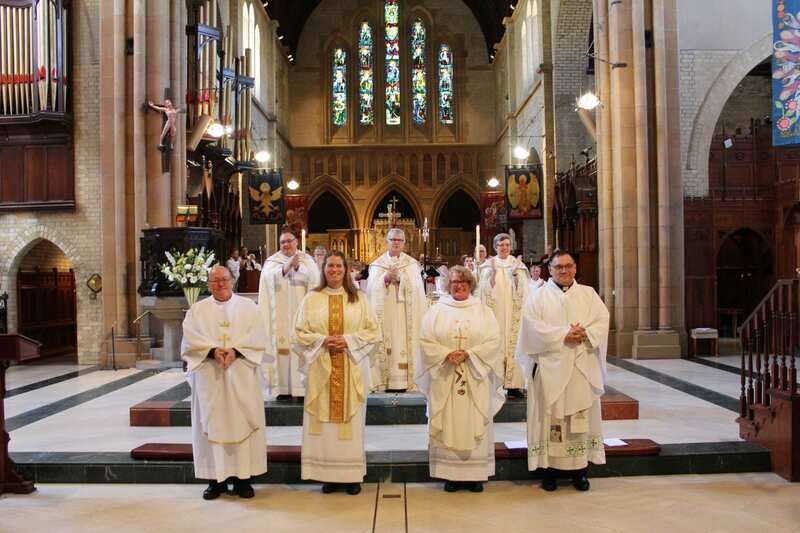 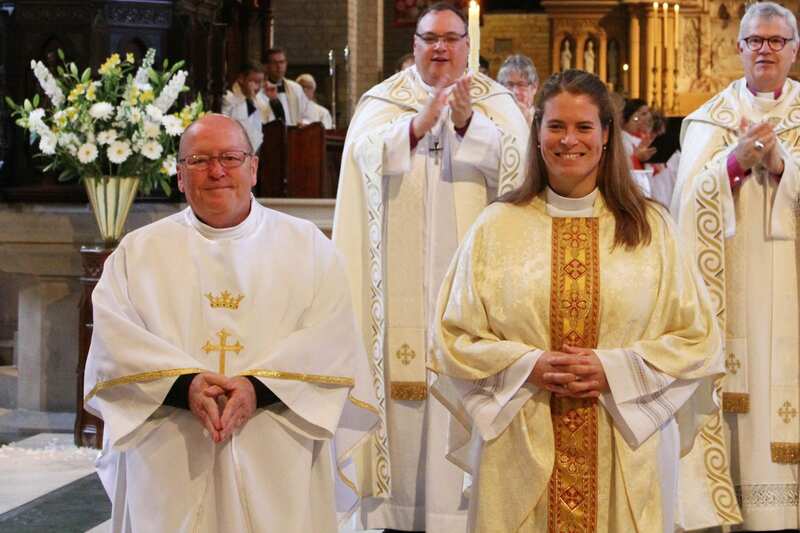 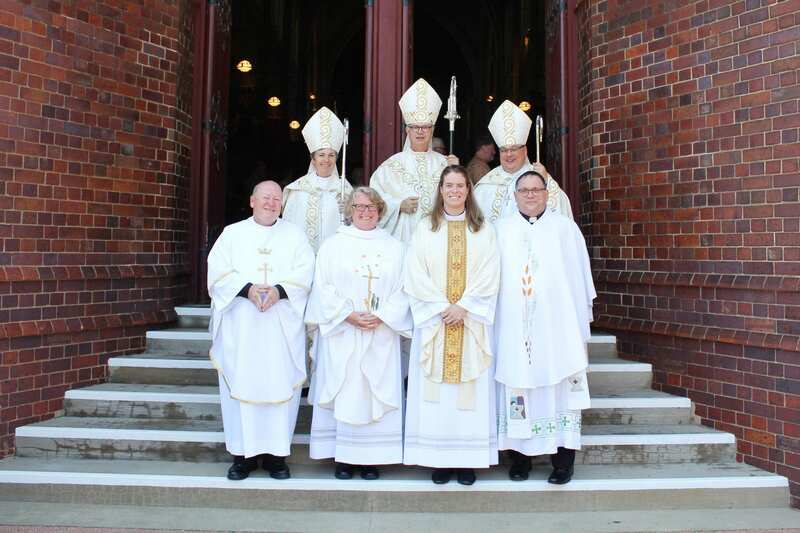 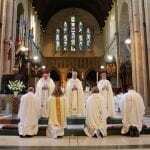 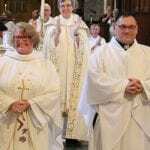 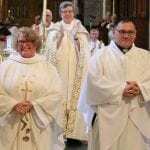 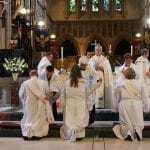 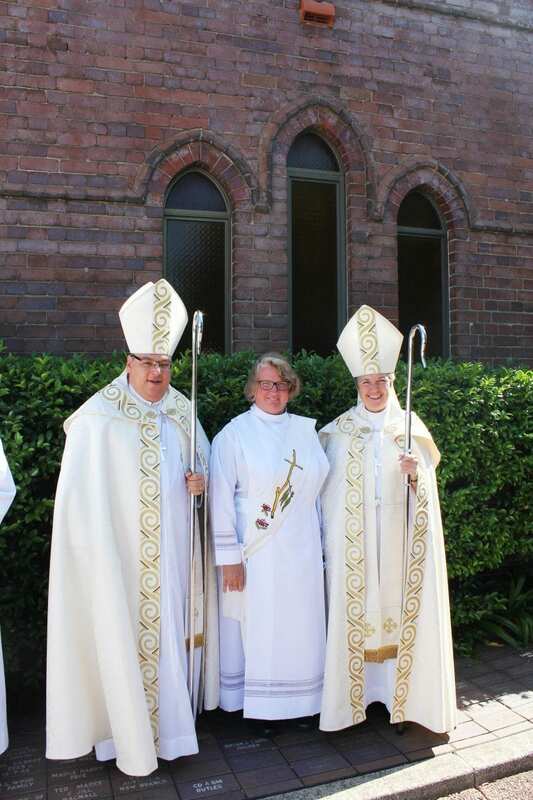 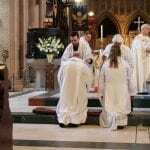 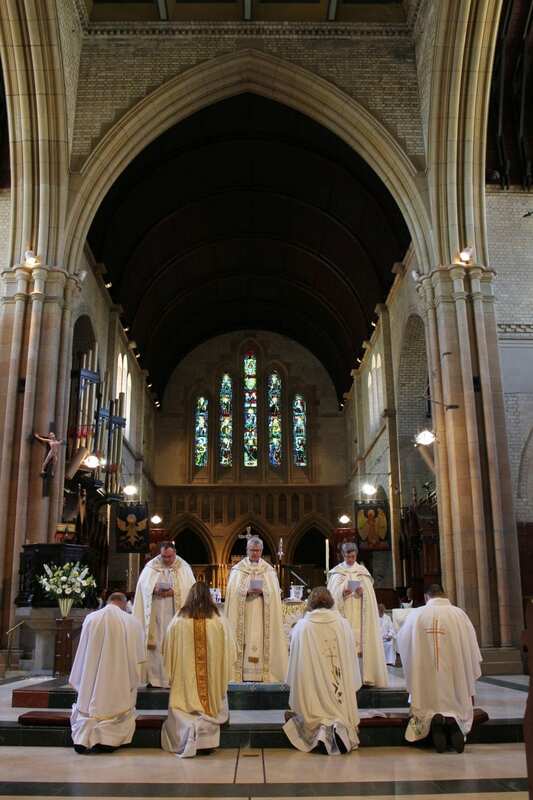 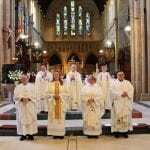 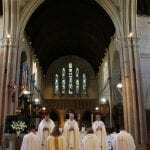 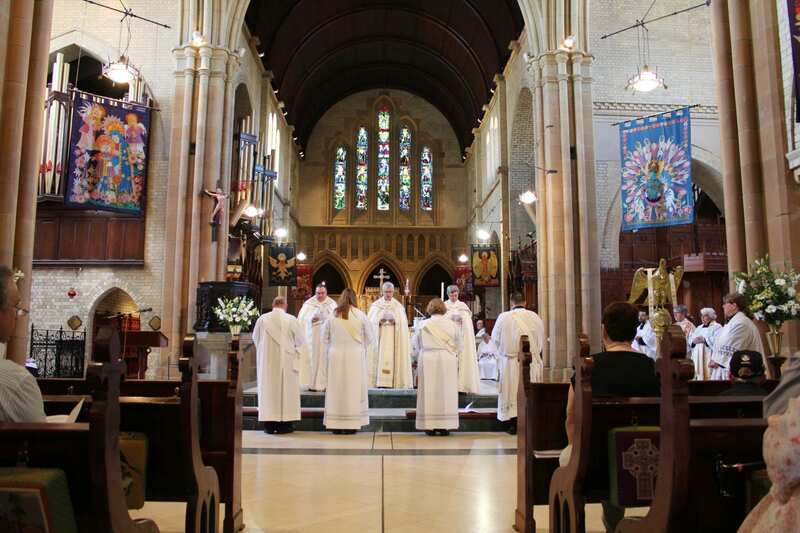 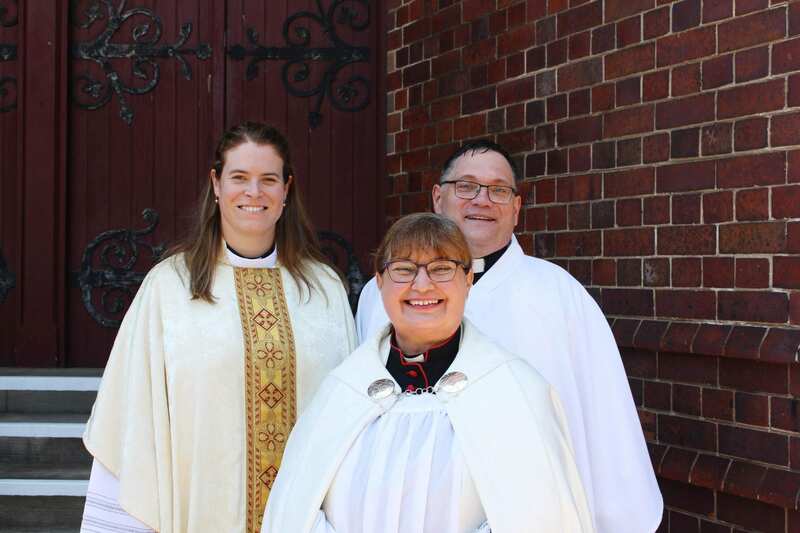 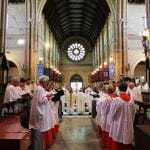 On Saturday 1 December The Rev’ds Nicole Baldwin, Jacqueline Drewe, Philip Morris and John Quilter were ordained to the priesthood at Christ Church Cathedral. 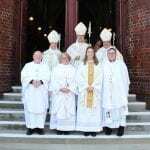 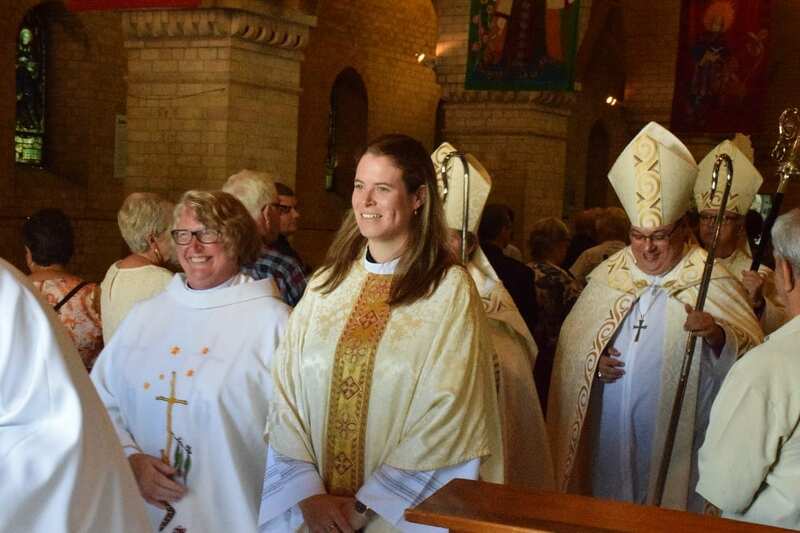 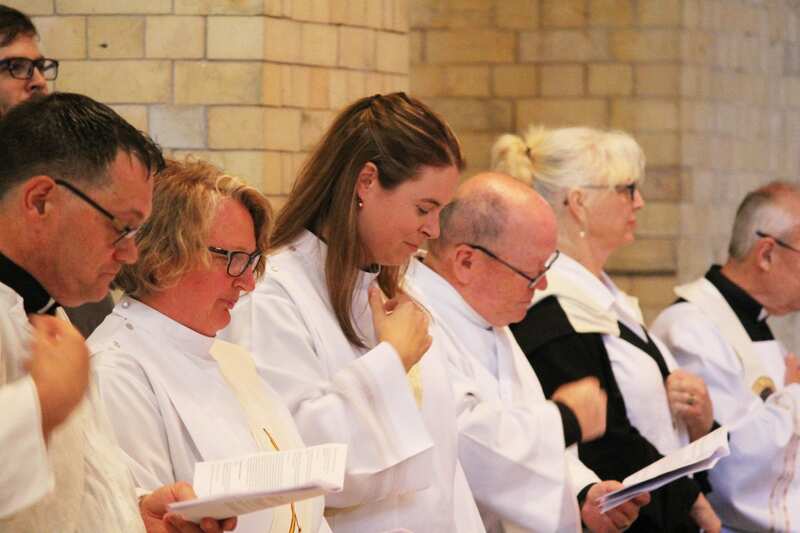 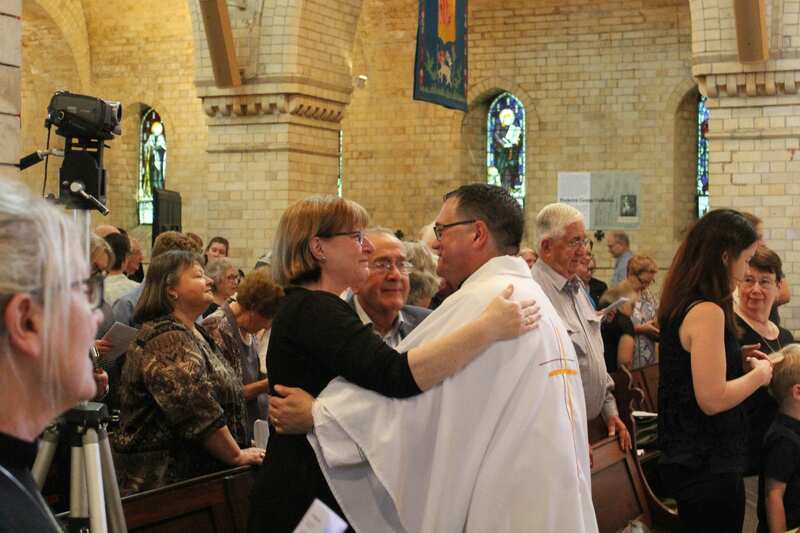 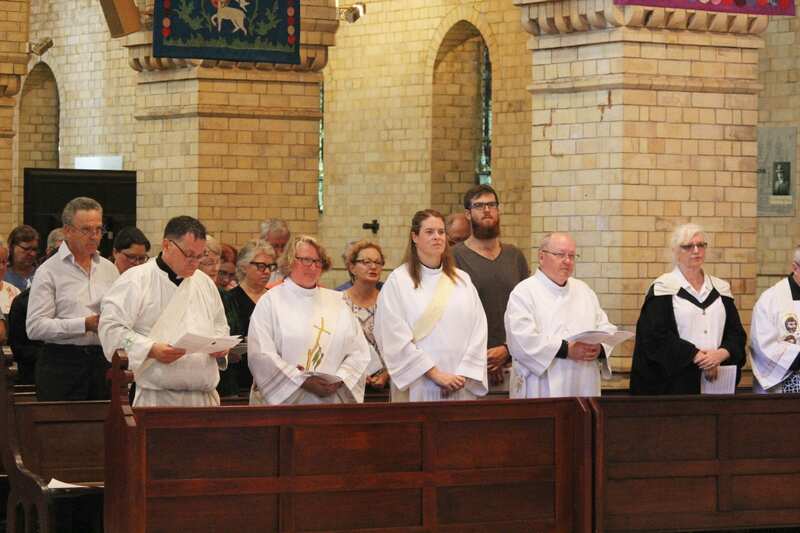 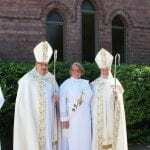 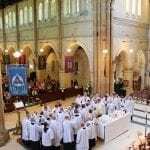 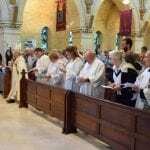 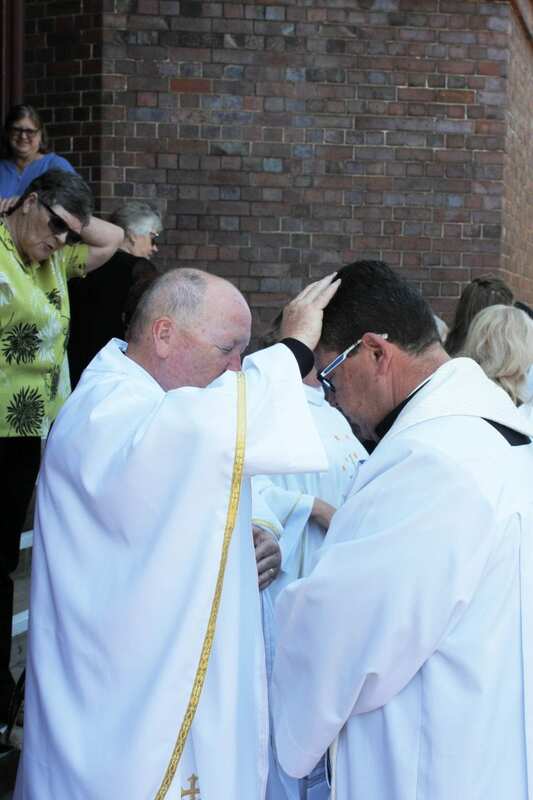 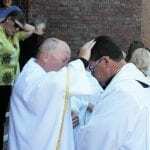 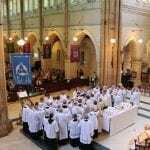 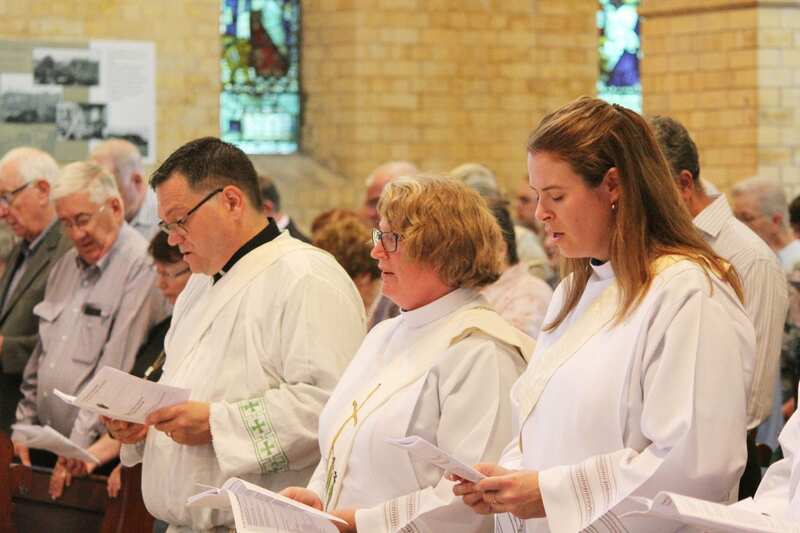 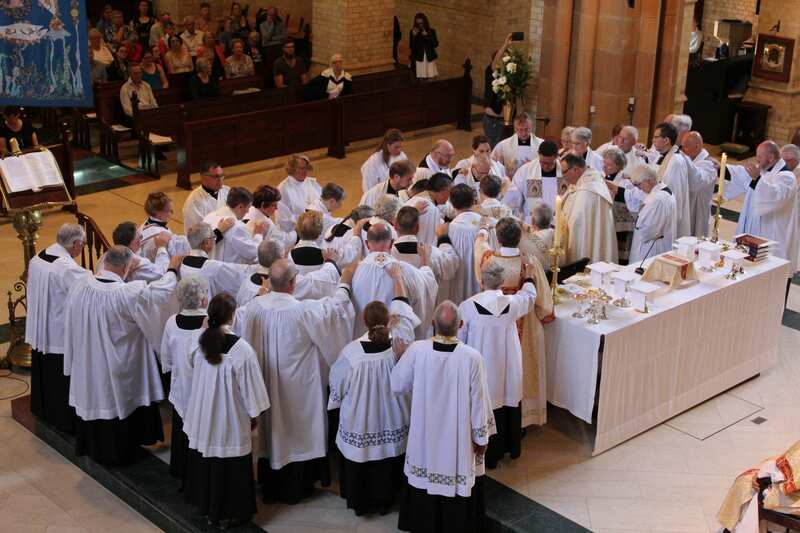 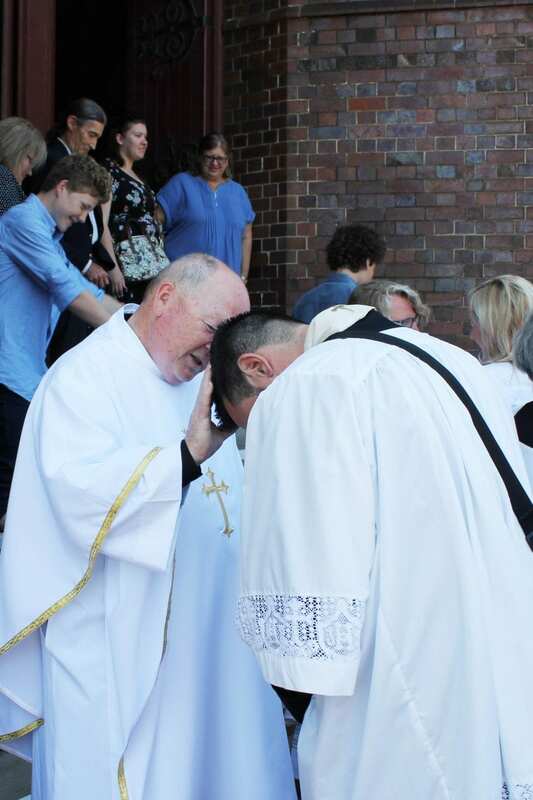 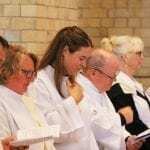 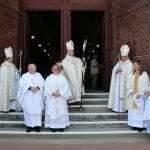 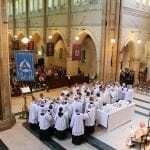 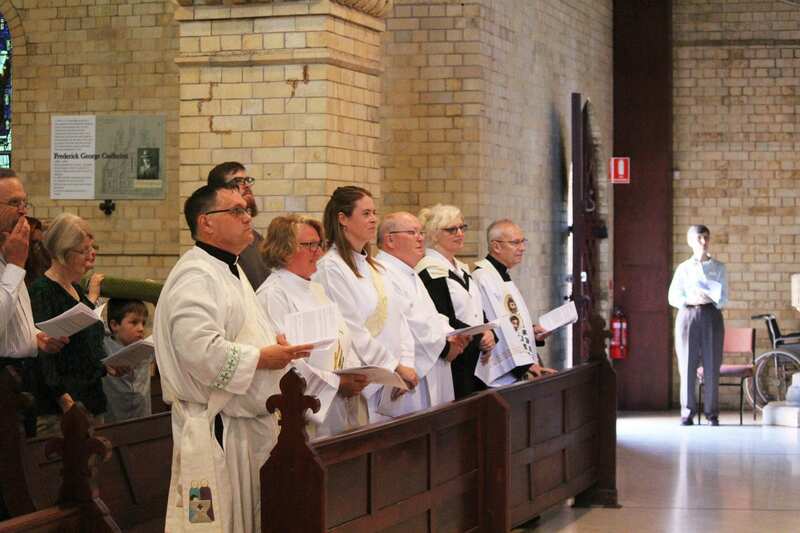 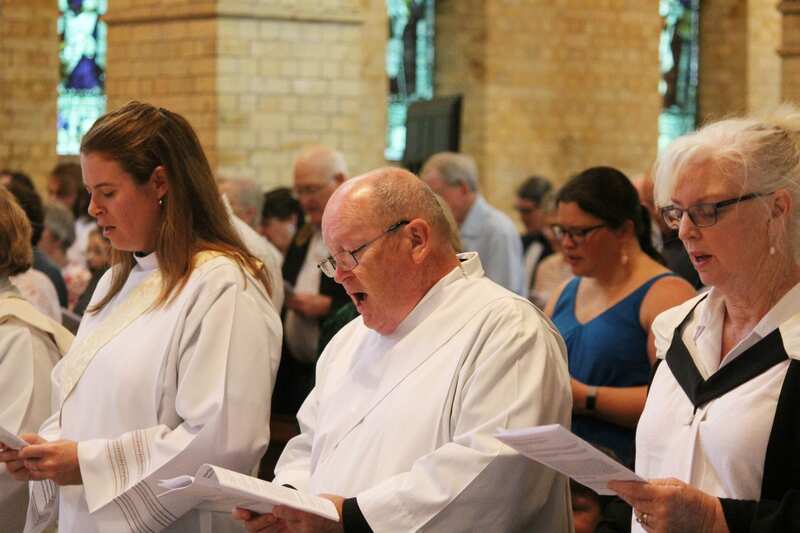 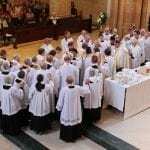 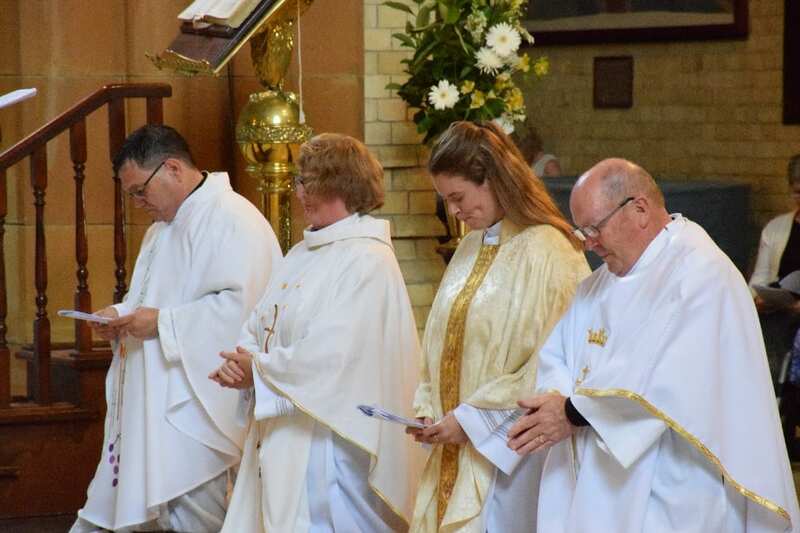 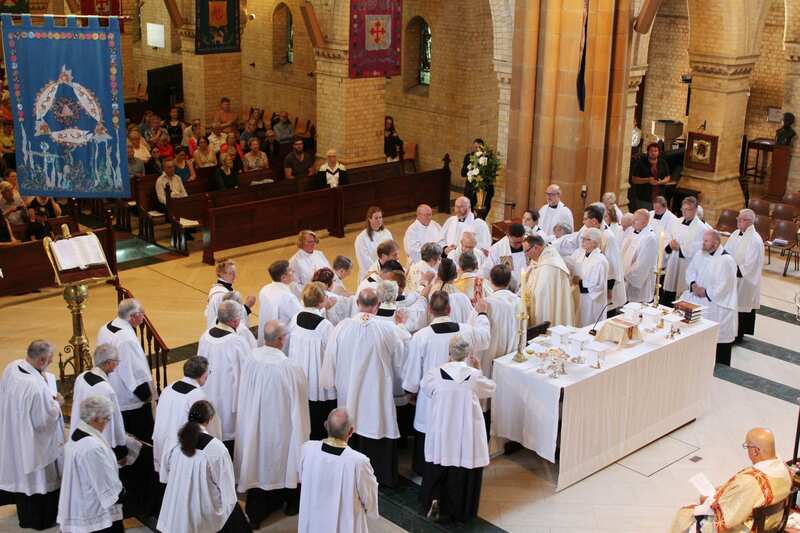 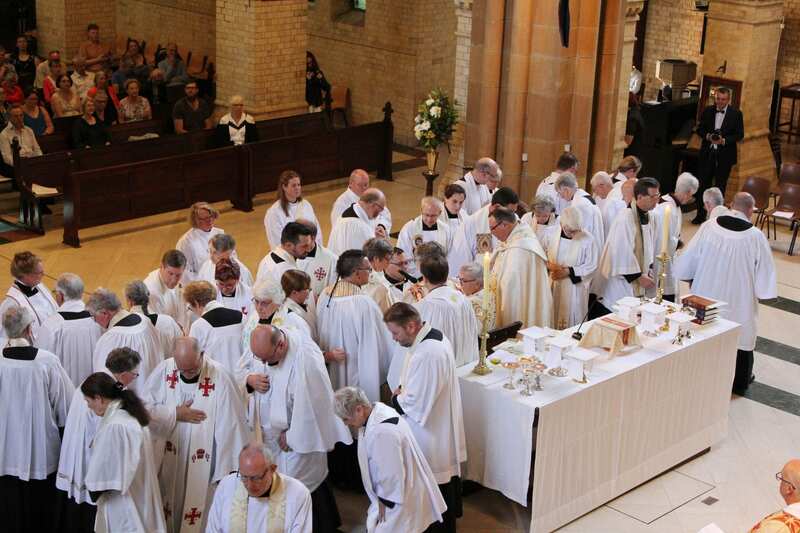 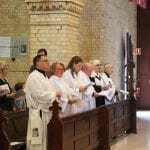 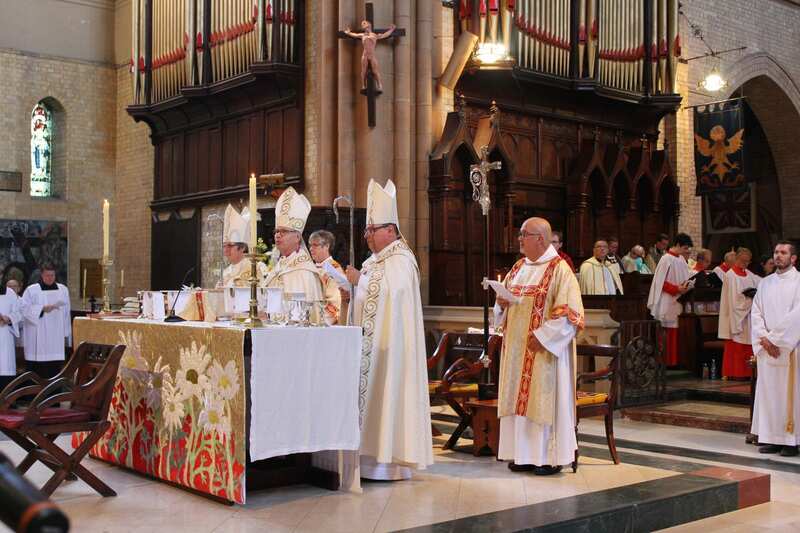 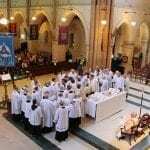 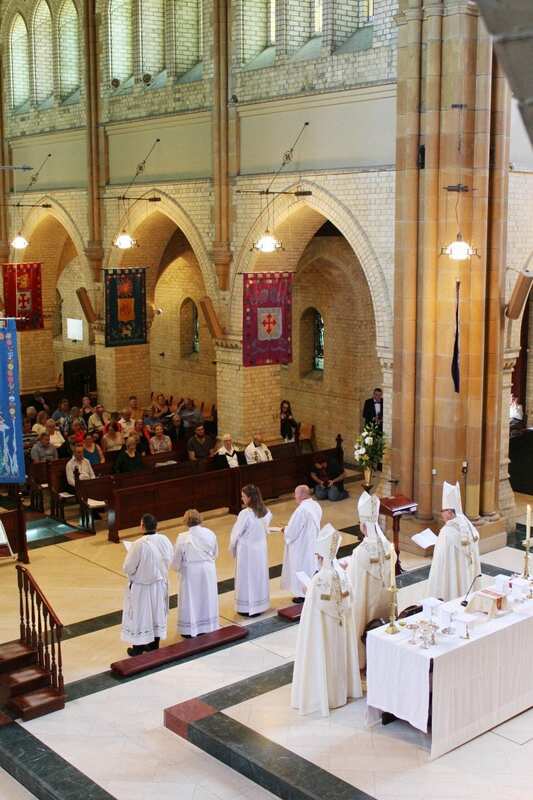 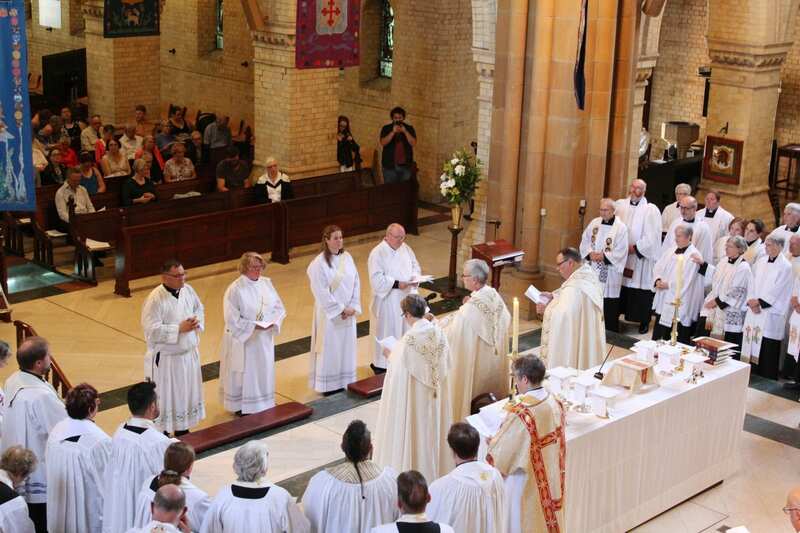 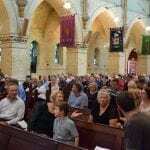 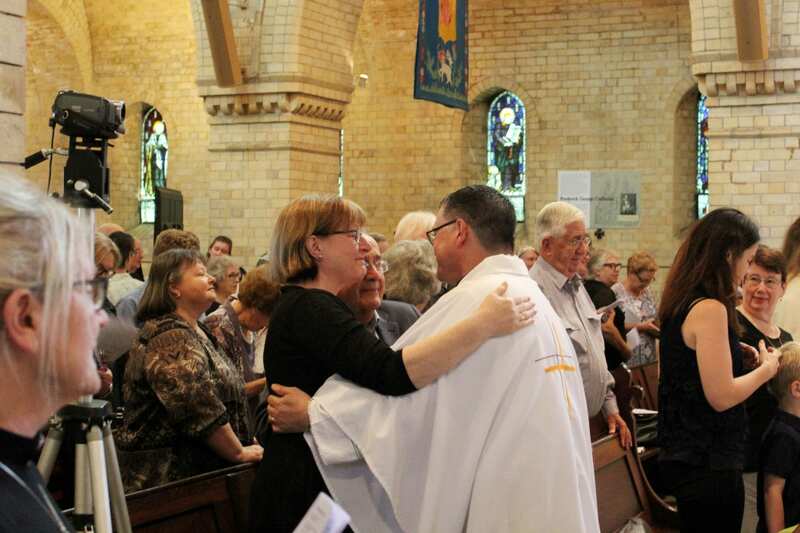 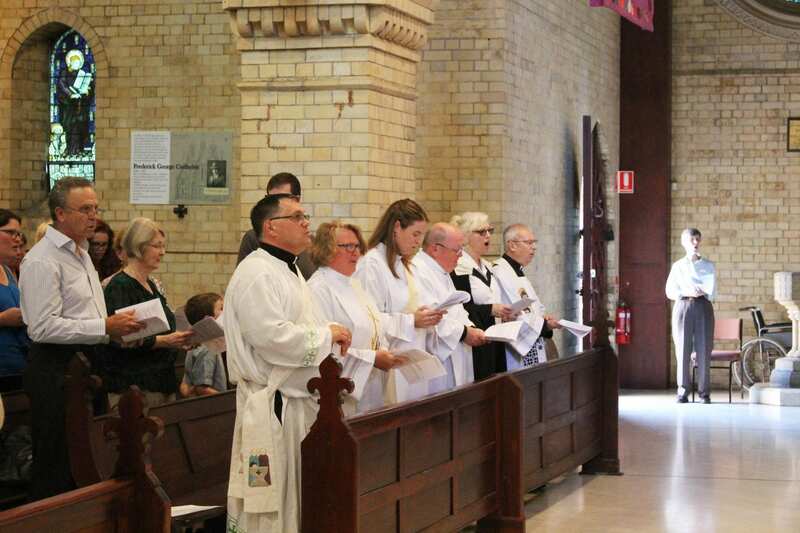 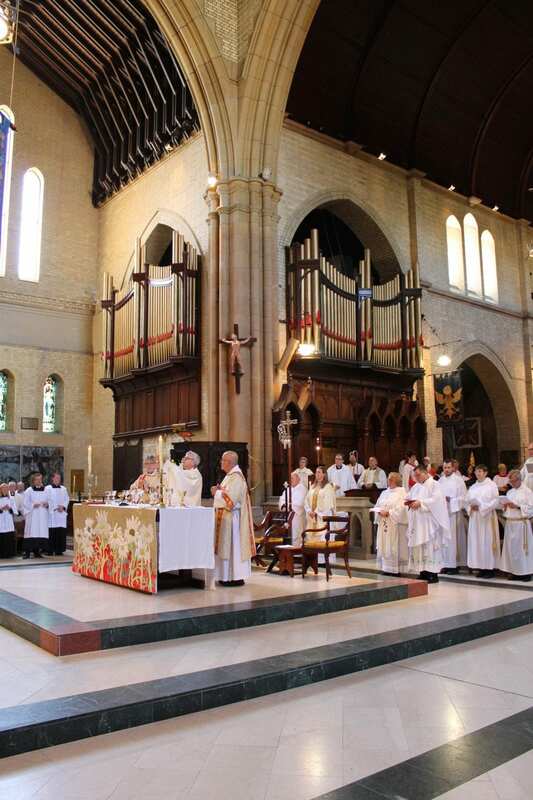 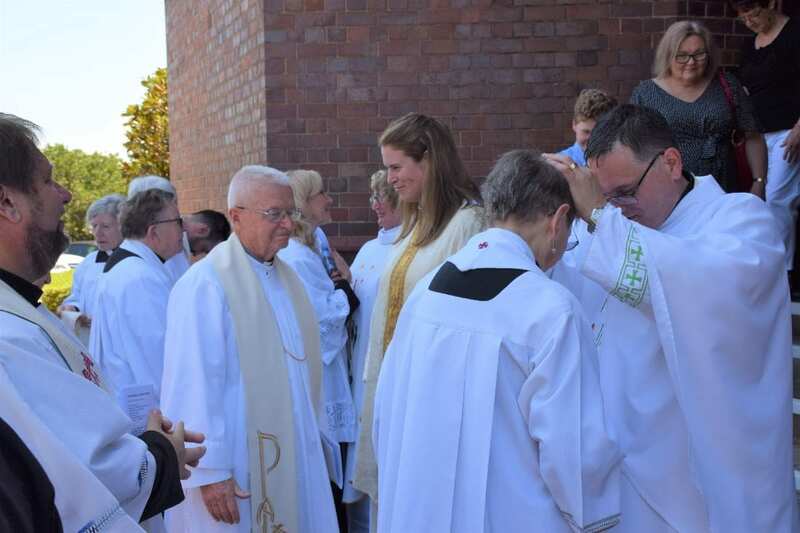 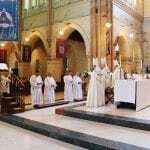 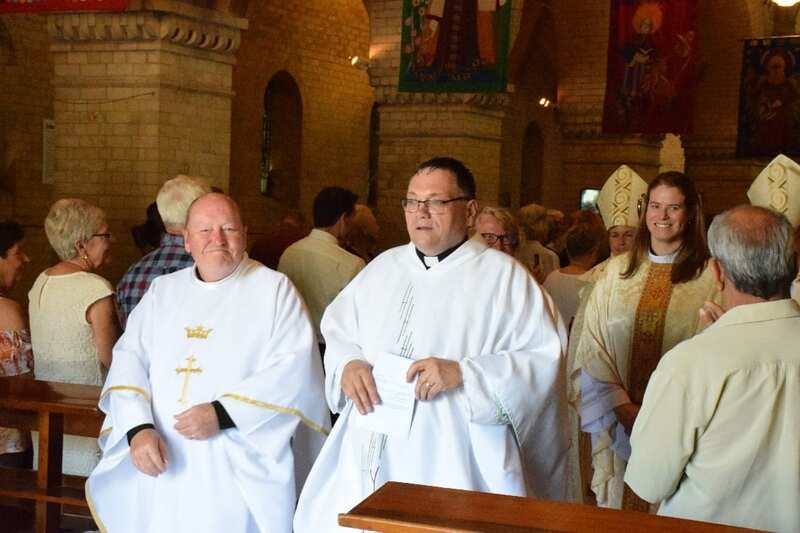 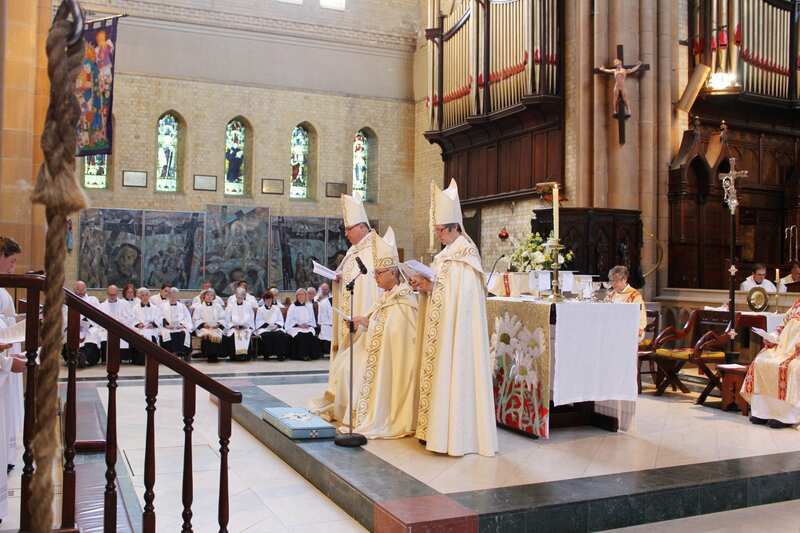 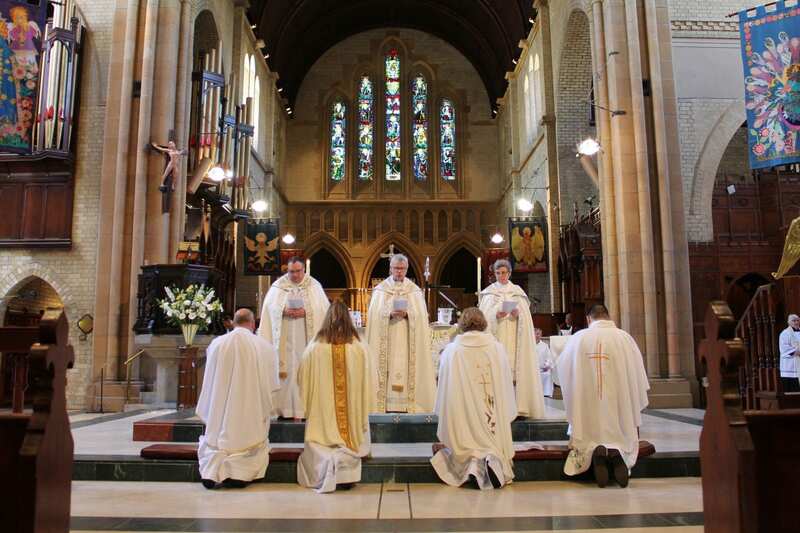 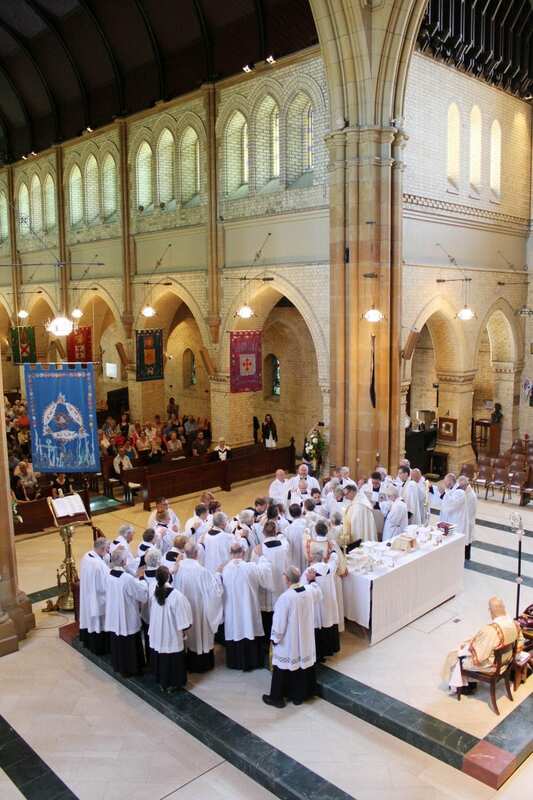 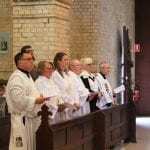 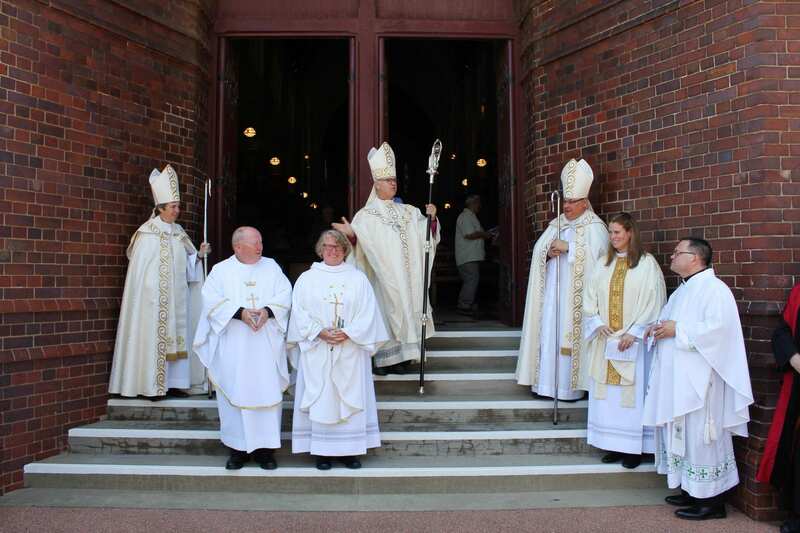 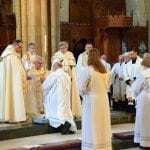 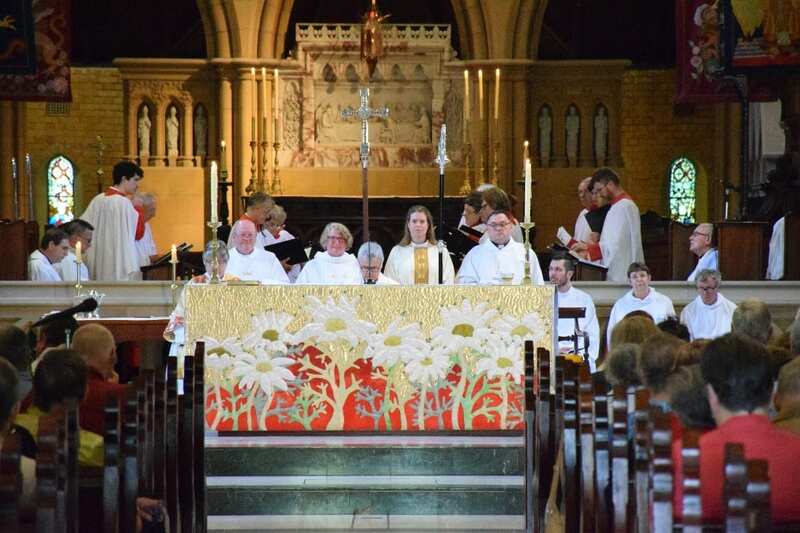 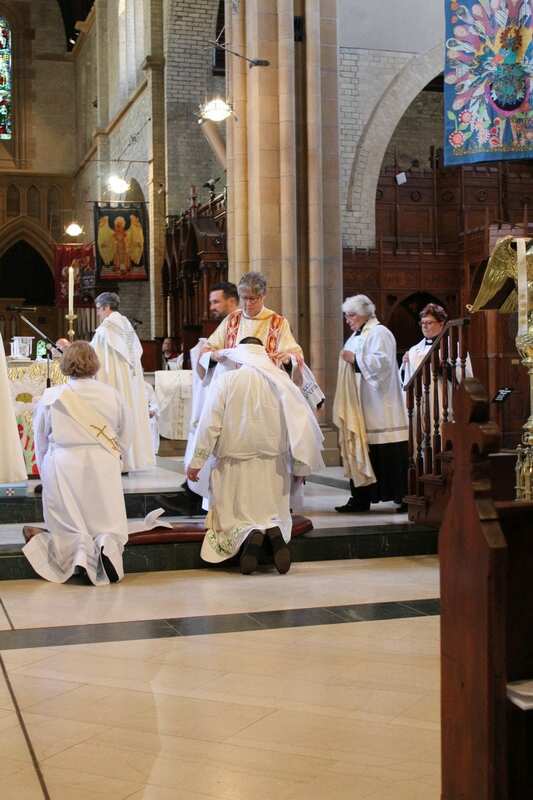 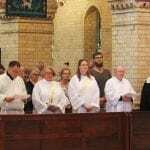 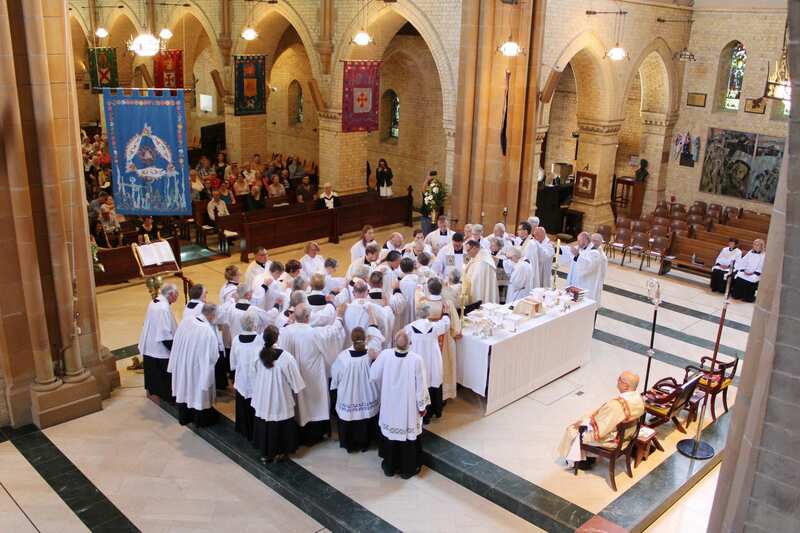 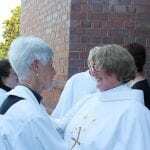 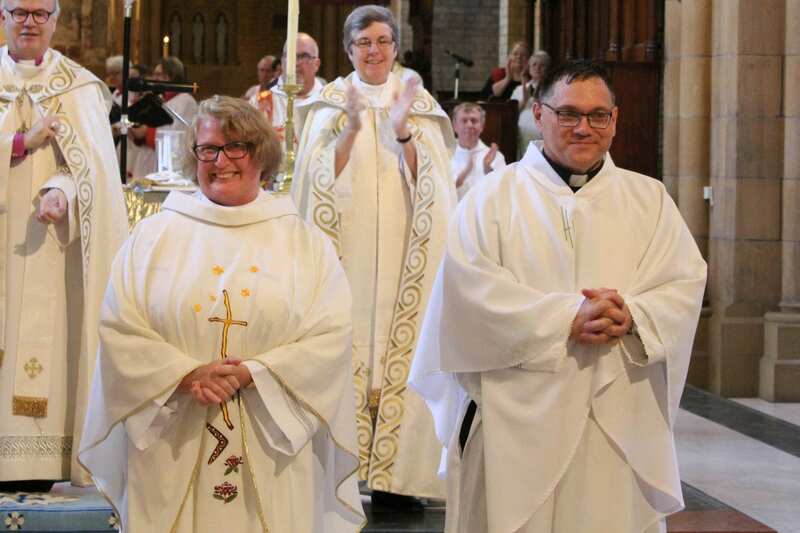 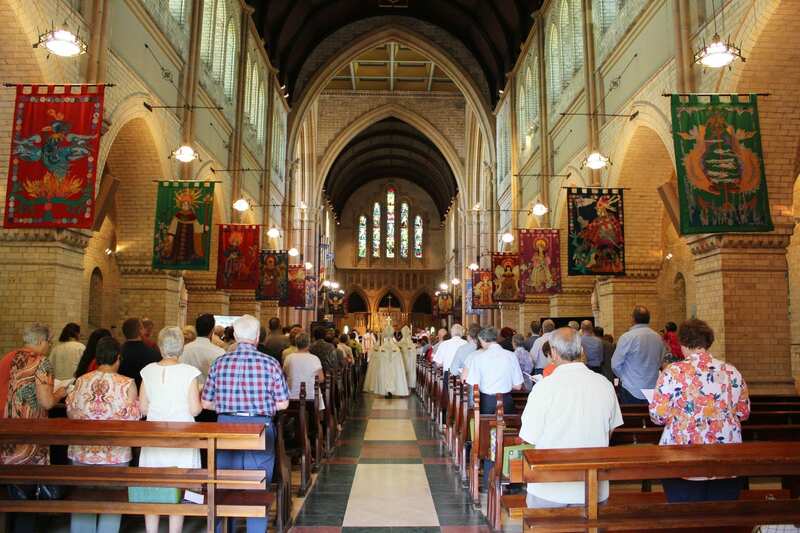 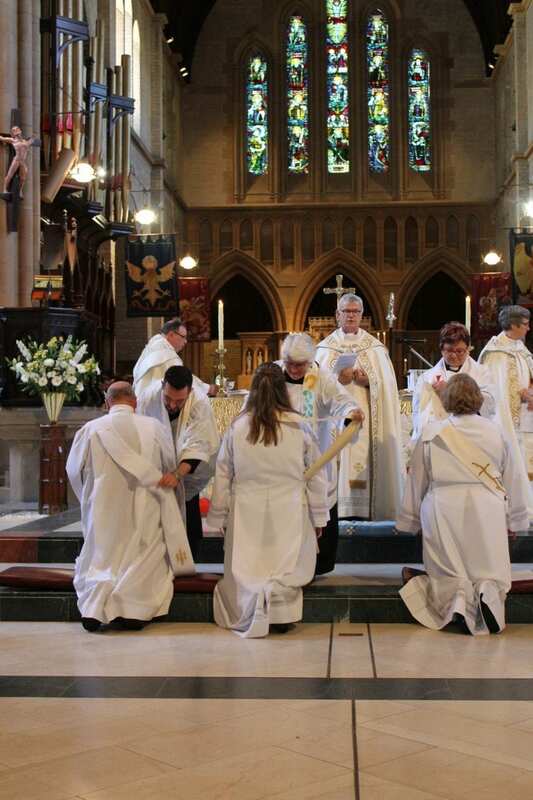 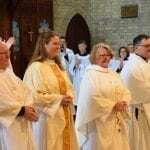 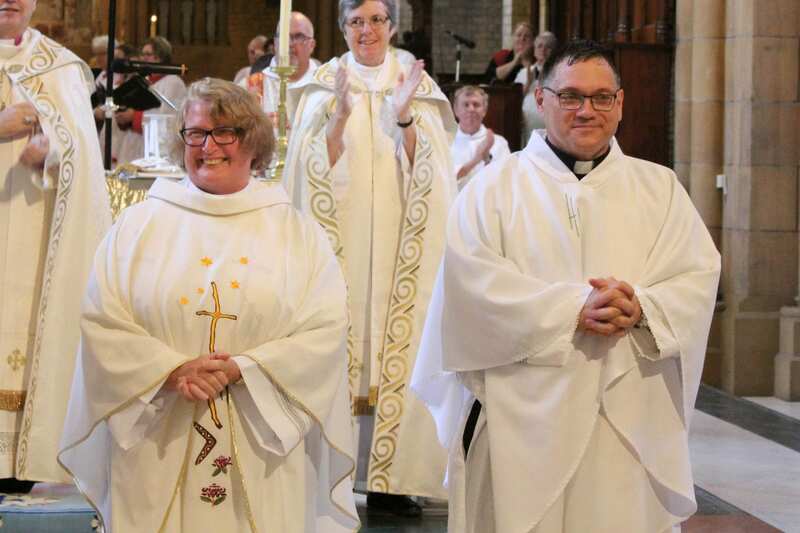 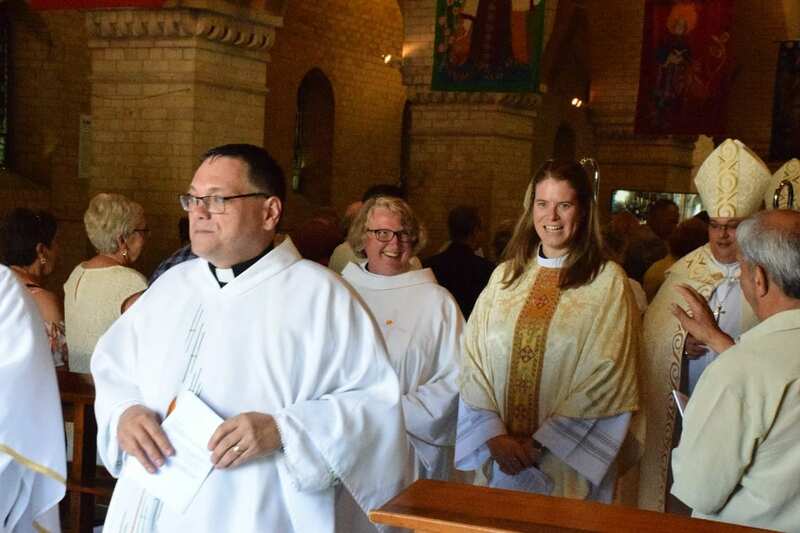 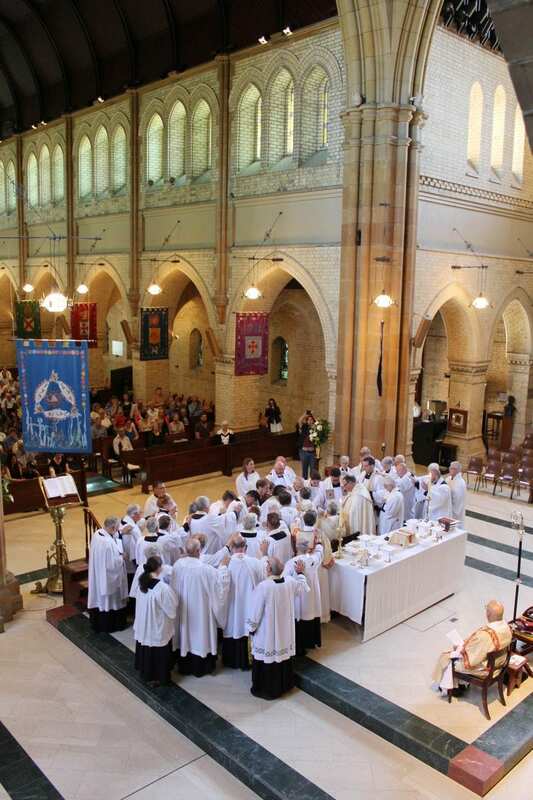 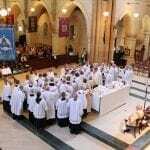 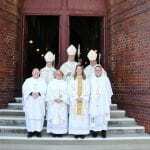 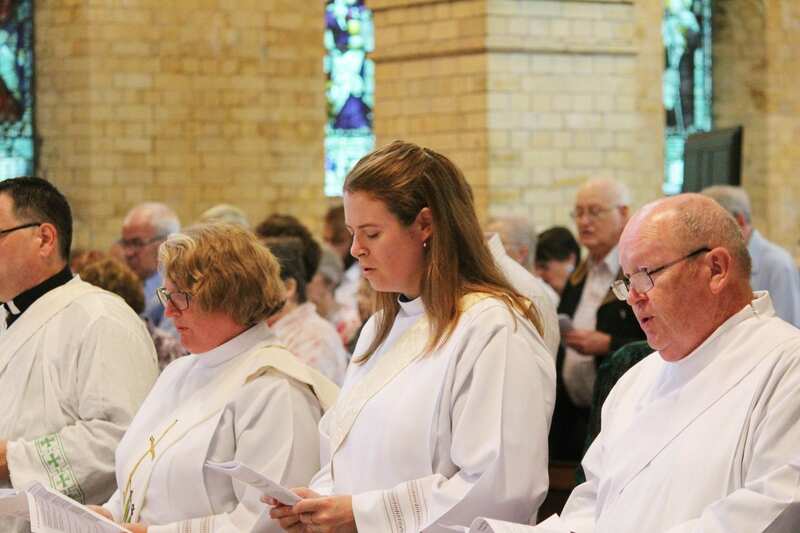 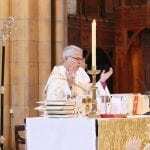 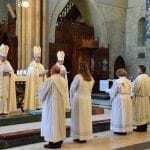 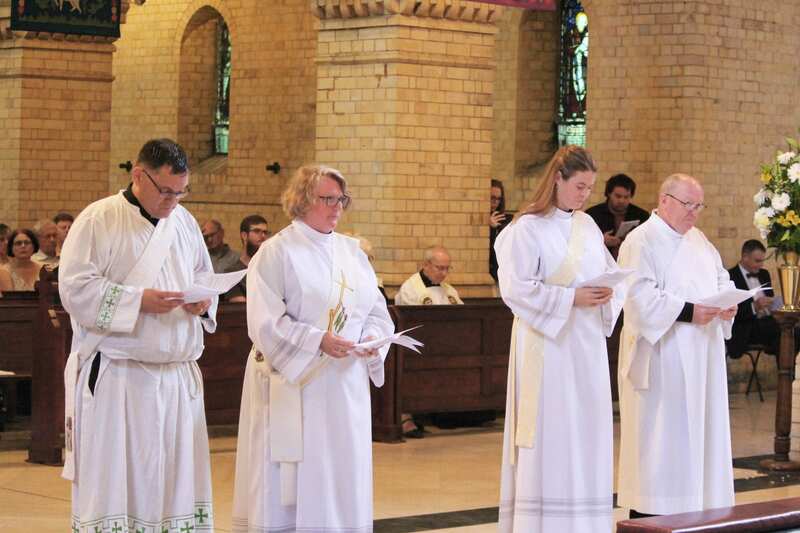 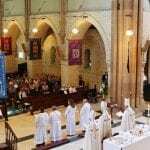 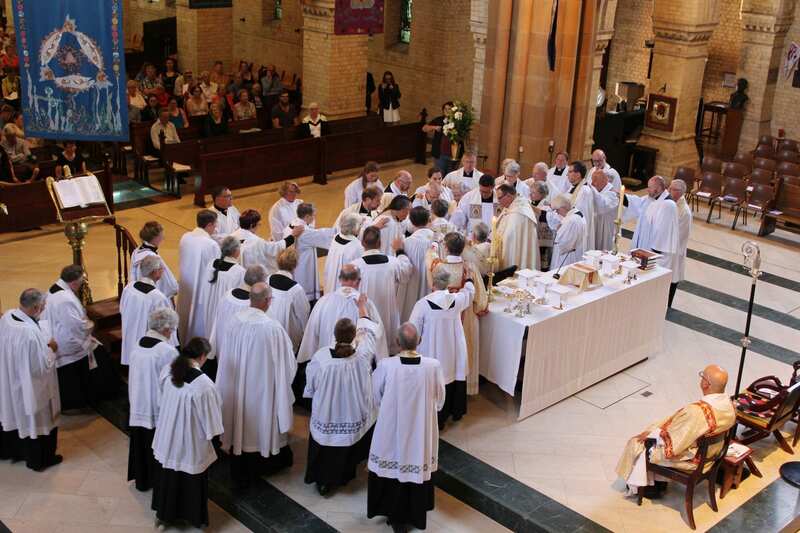 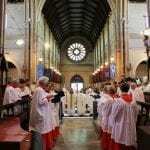 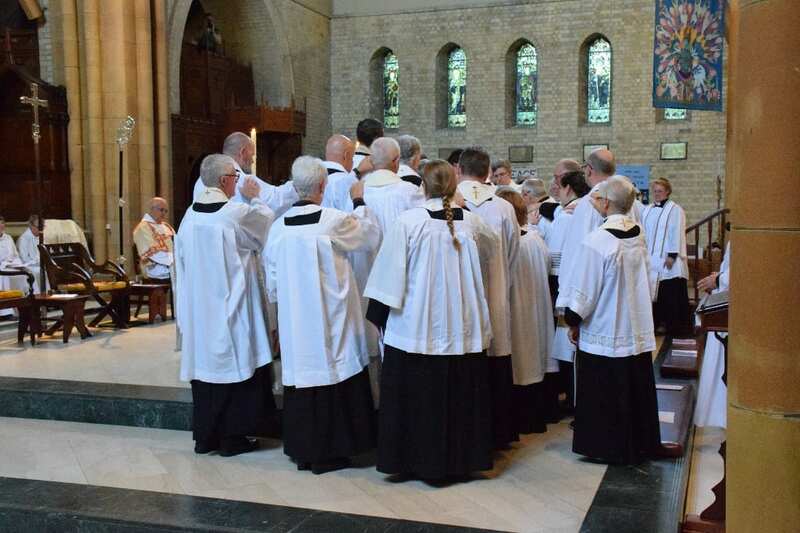 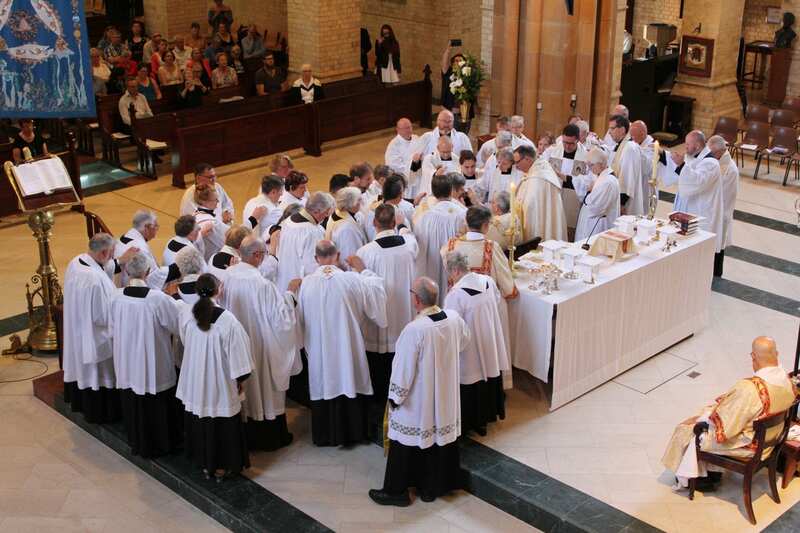 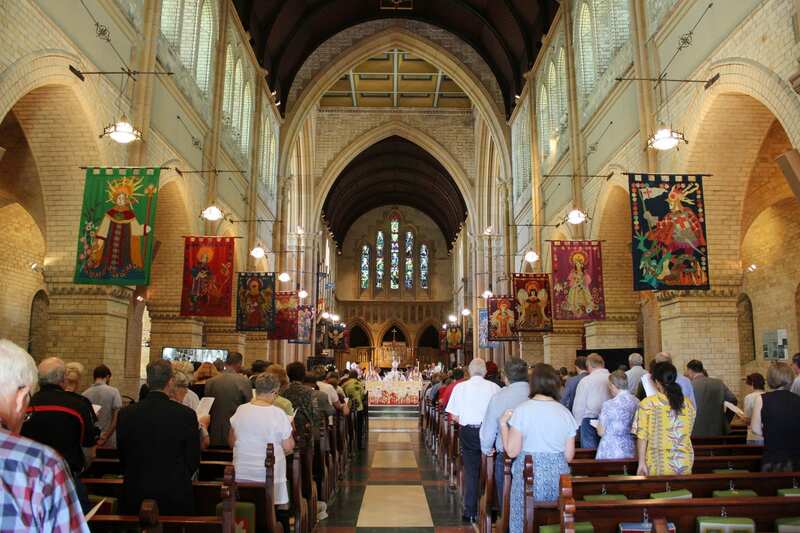 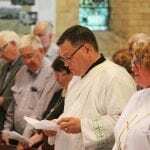 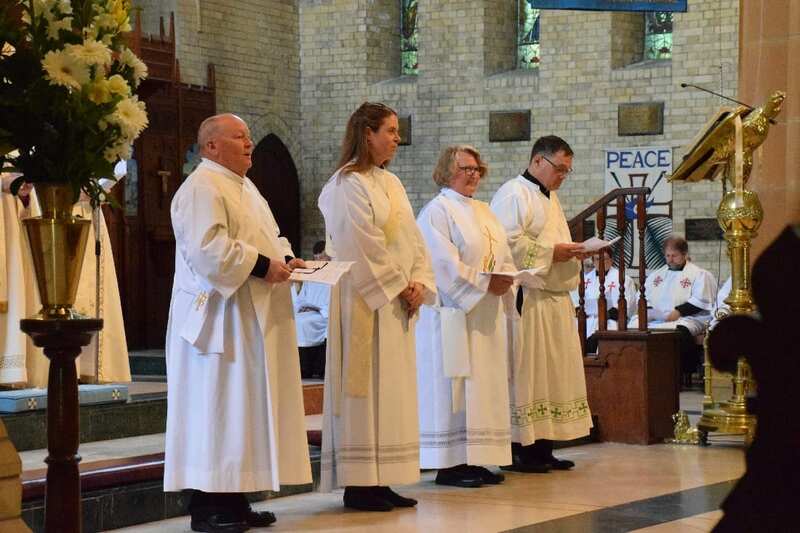 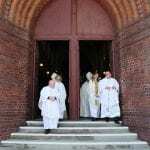 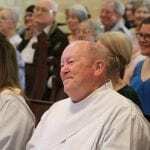 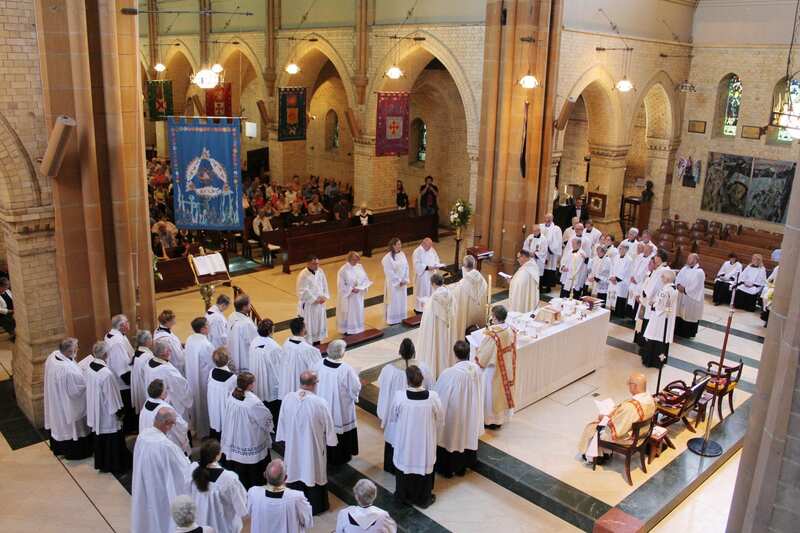 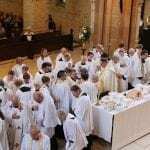 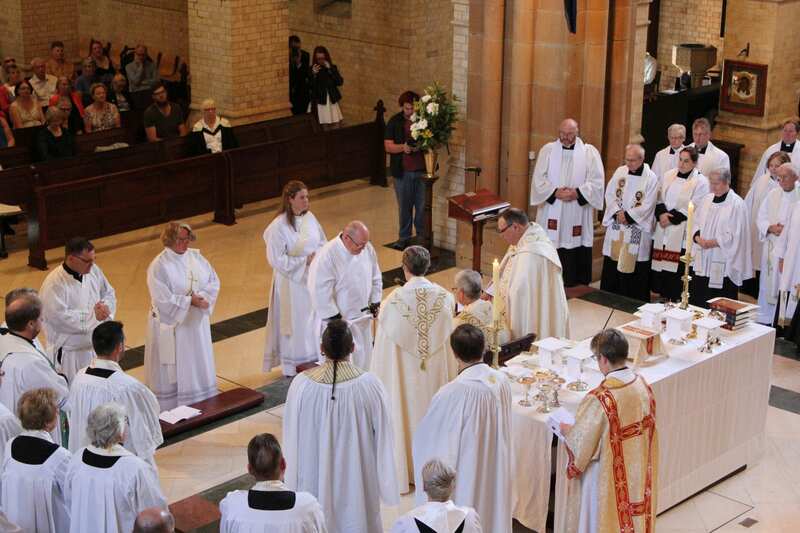 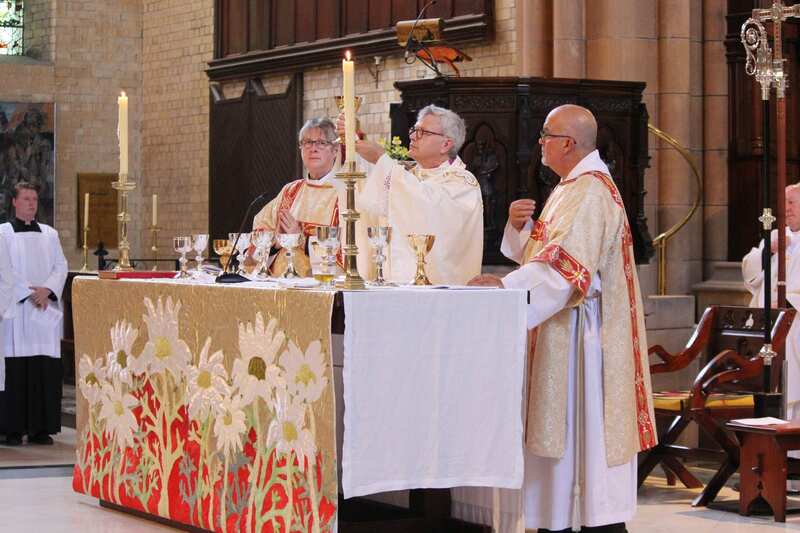 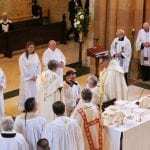 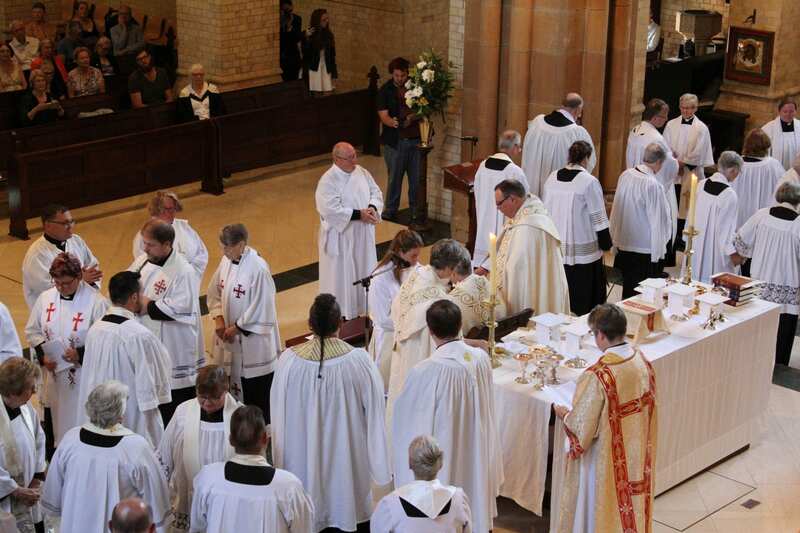 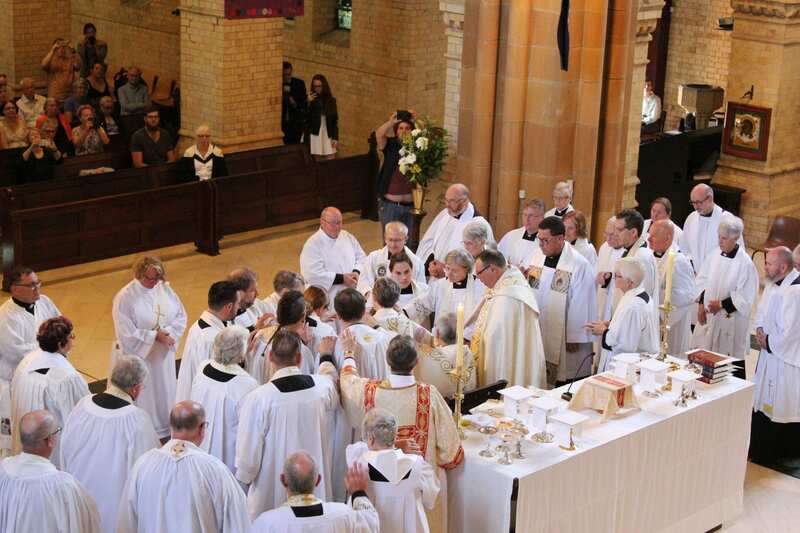 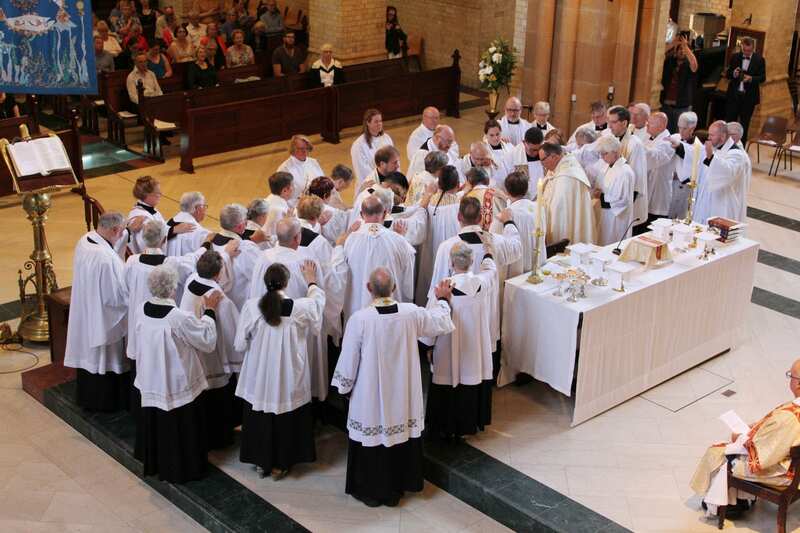 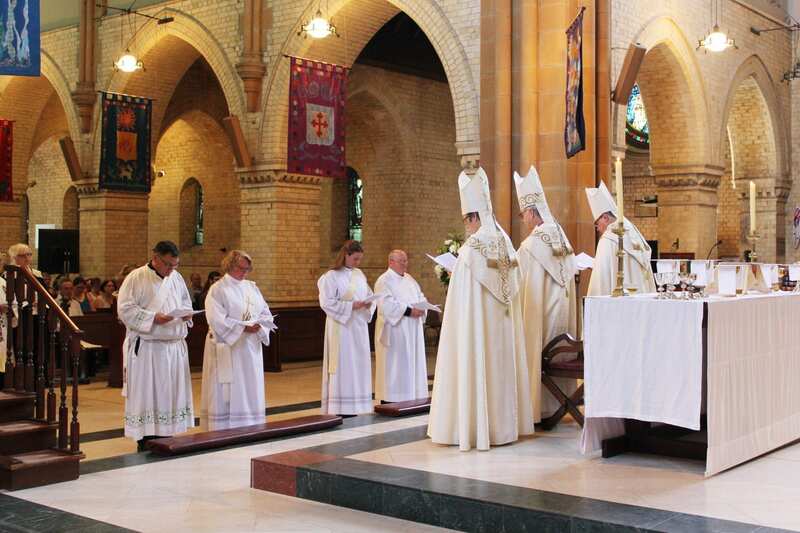 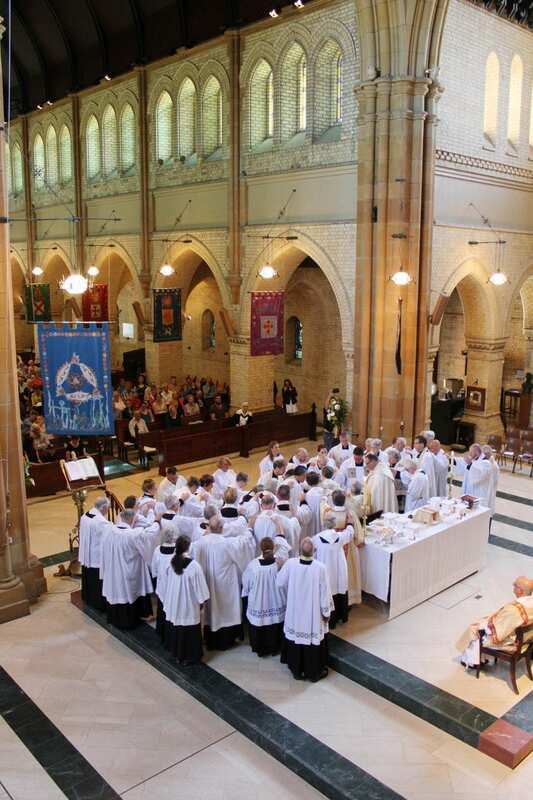 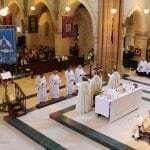 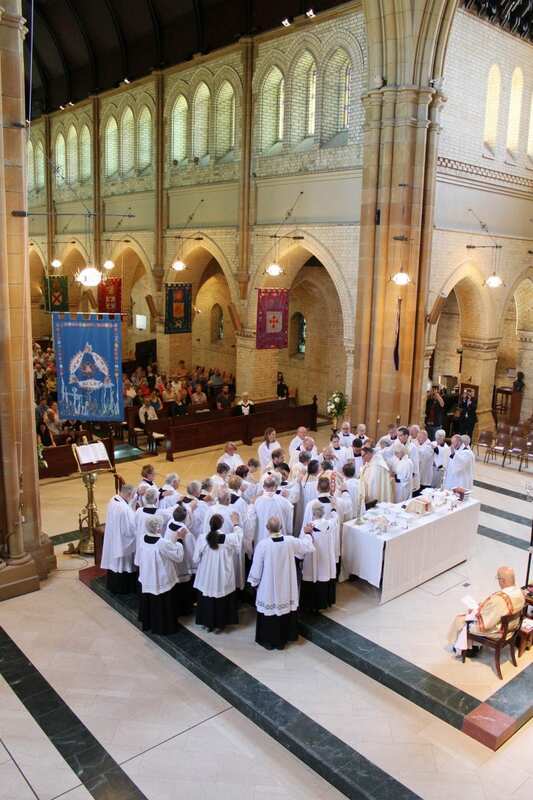 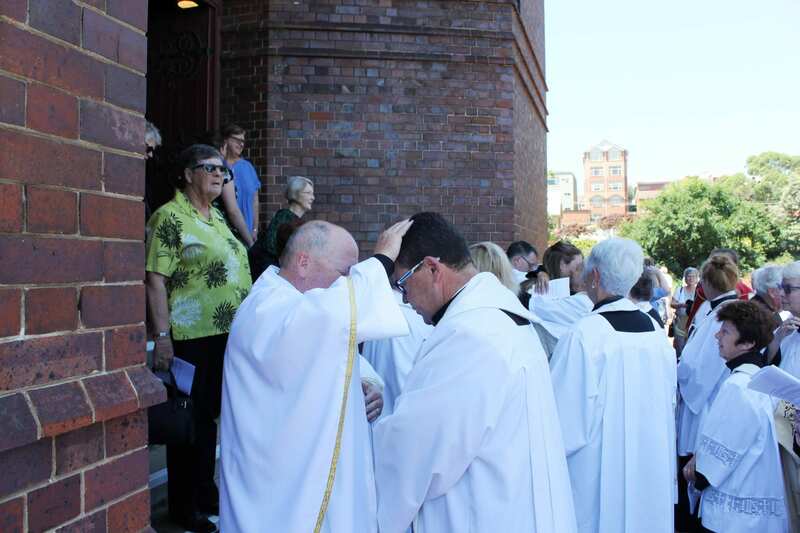 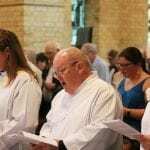 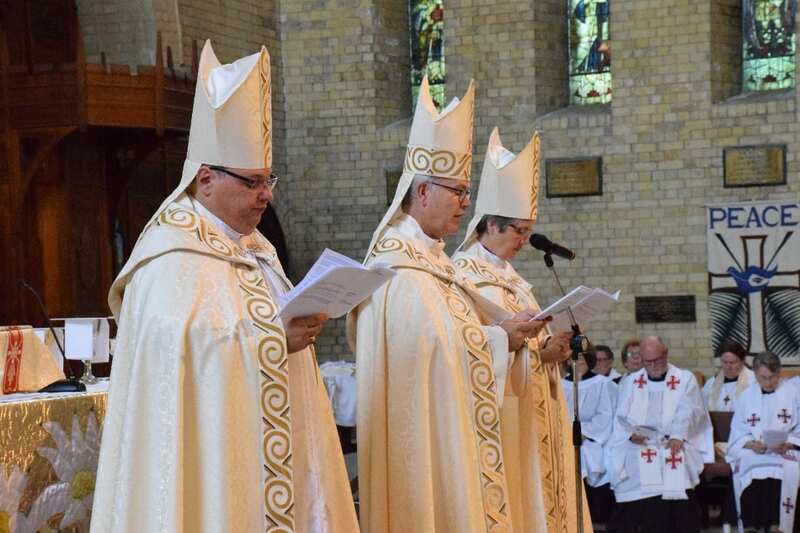 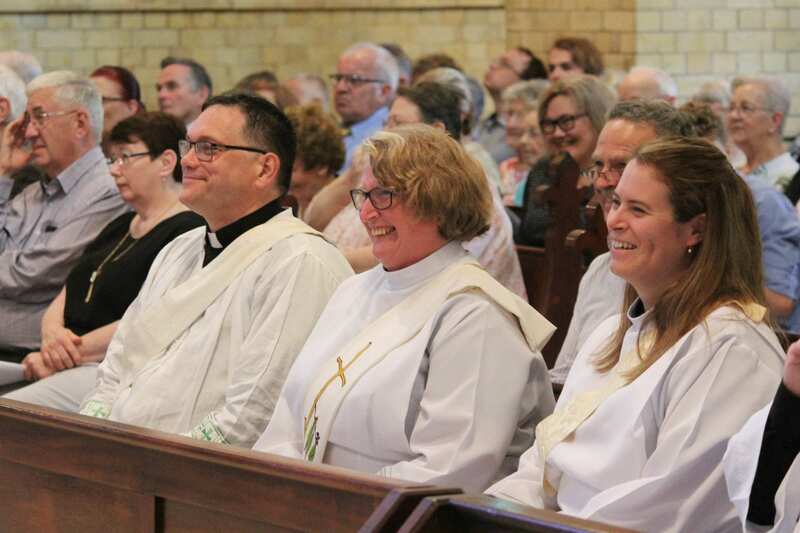 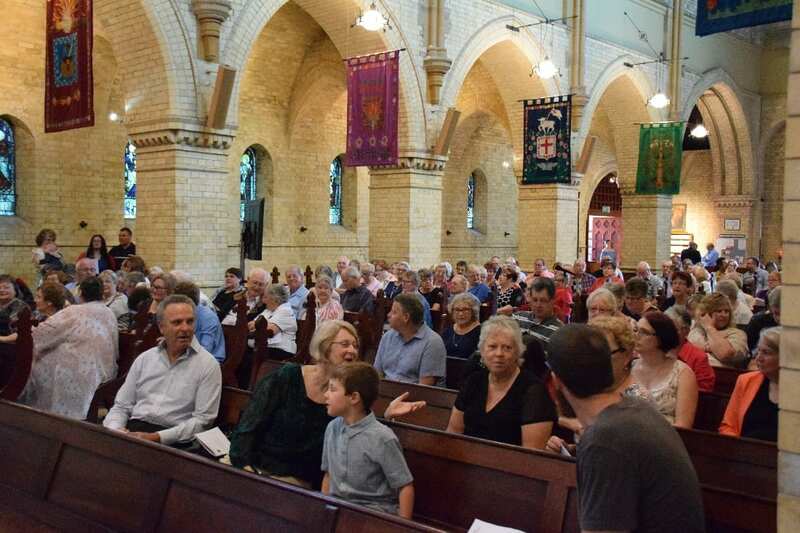 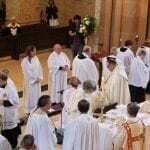 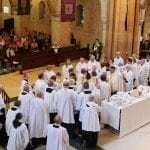 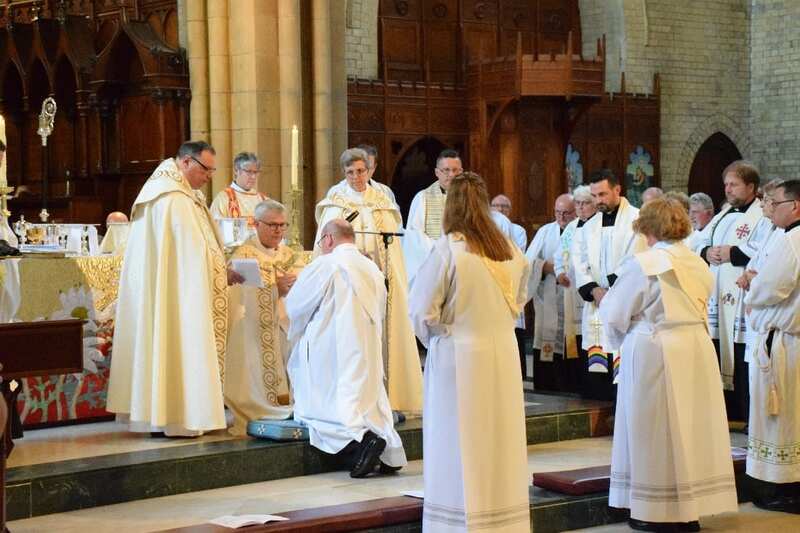 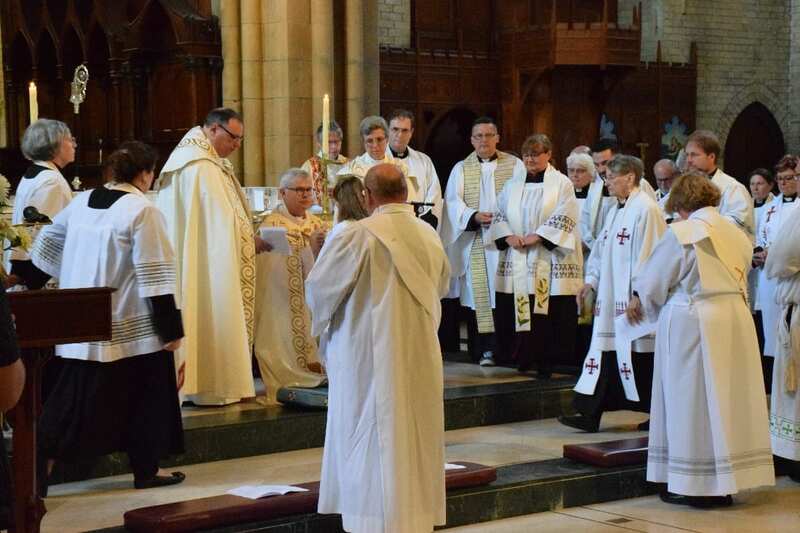 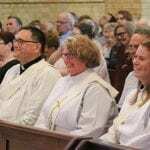 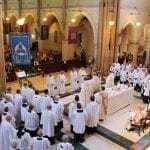 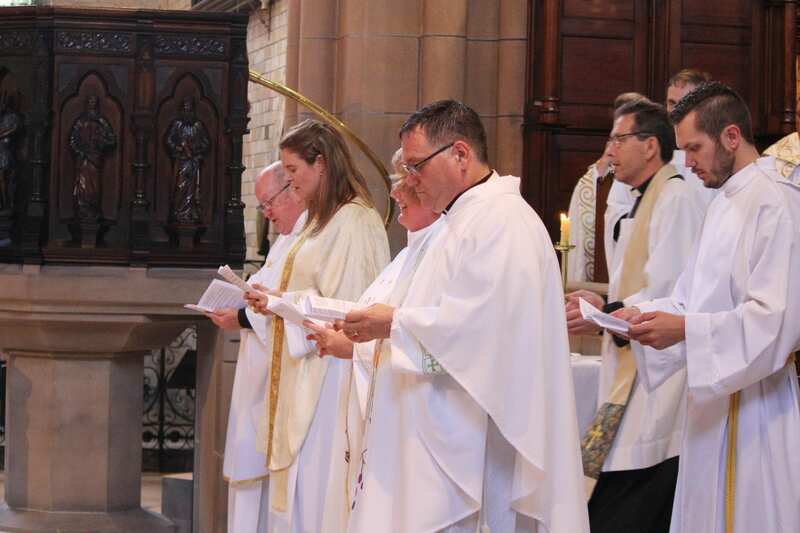 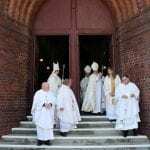 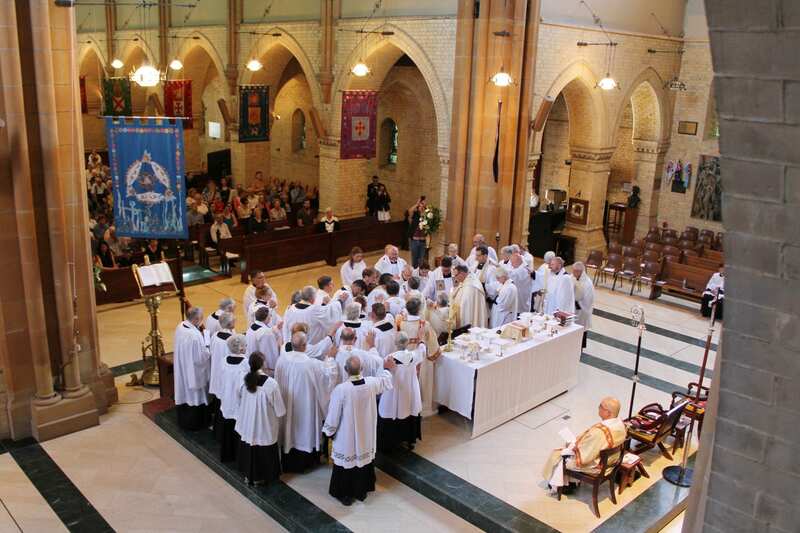 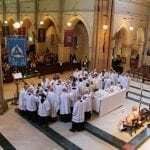 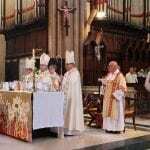 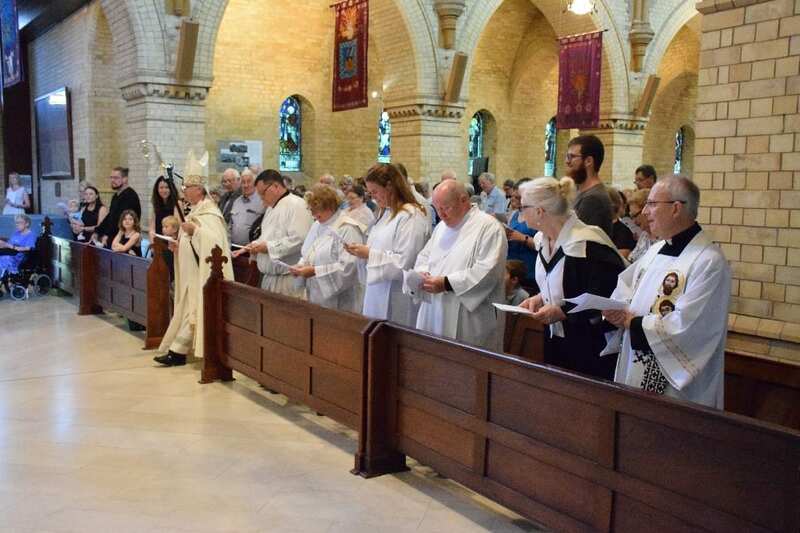 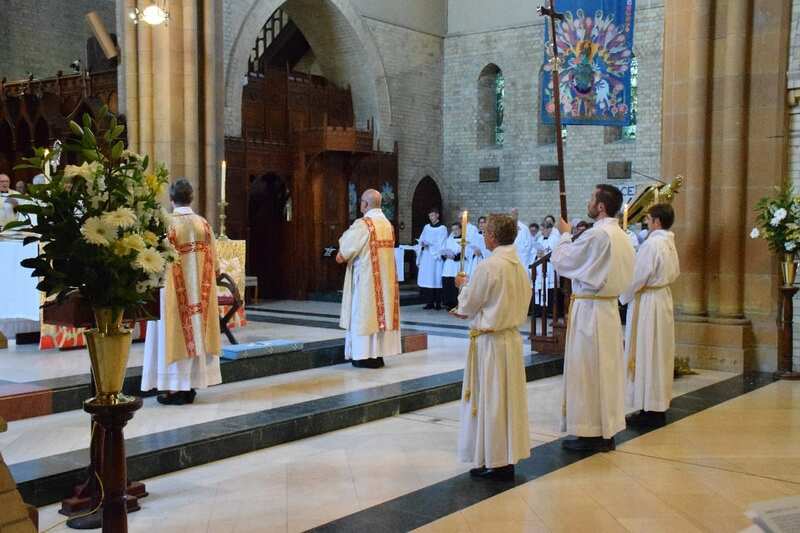 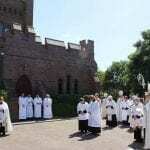 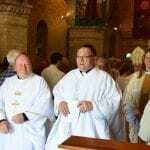 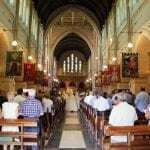 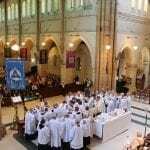 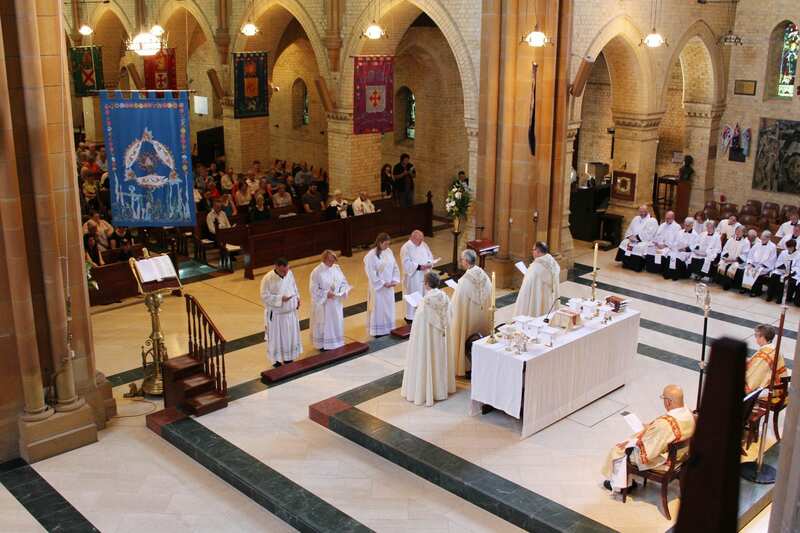 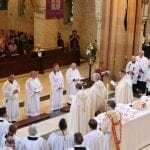 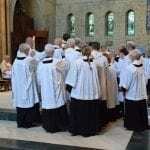 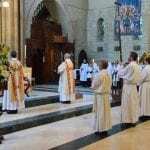 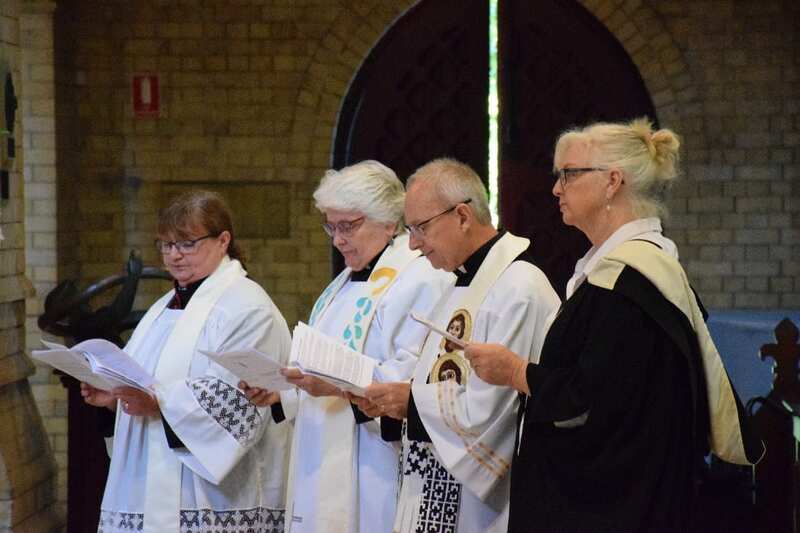 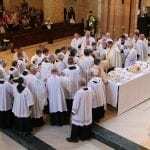 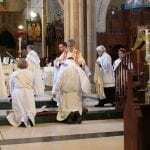 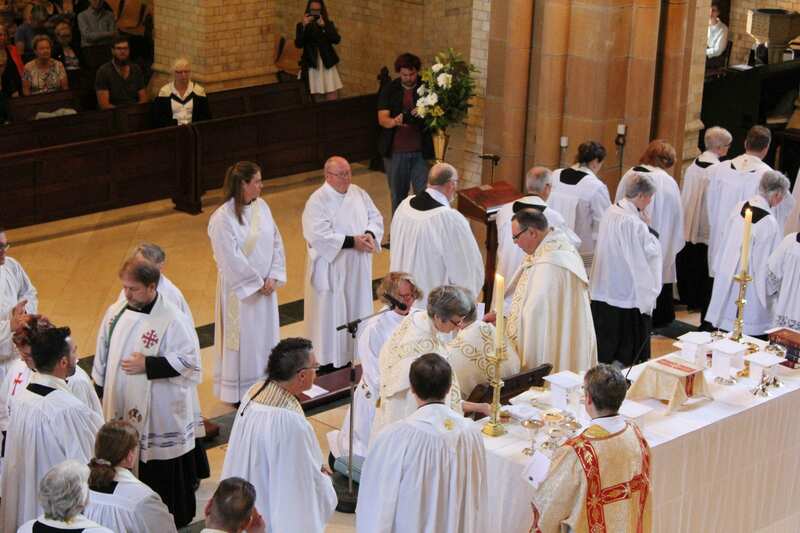 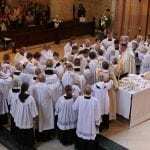 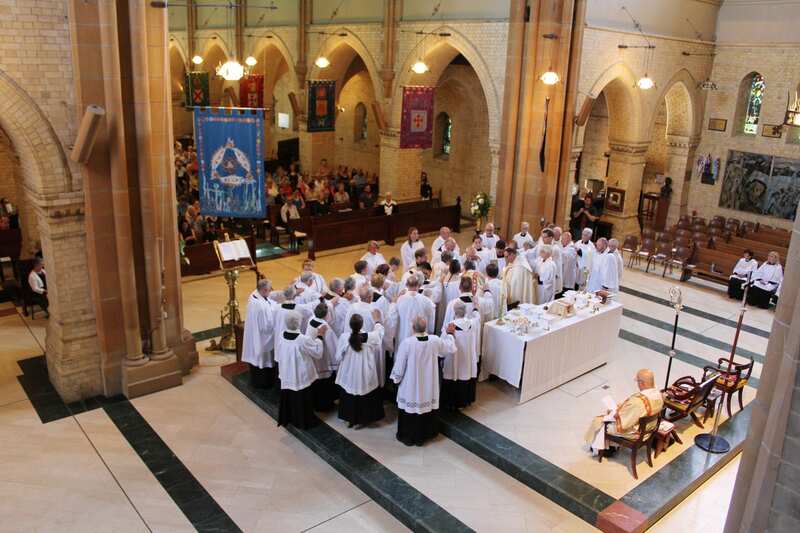 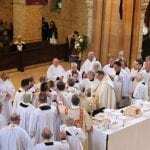 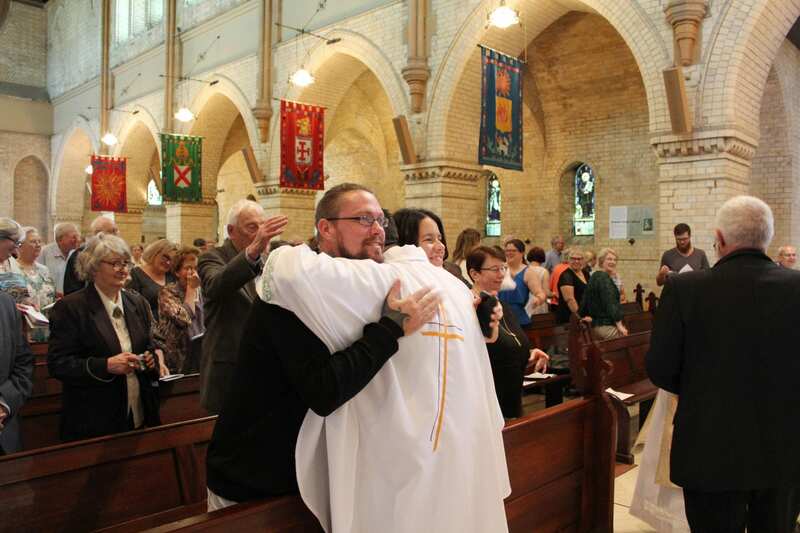 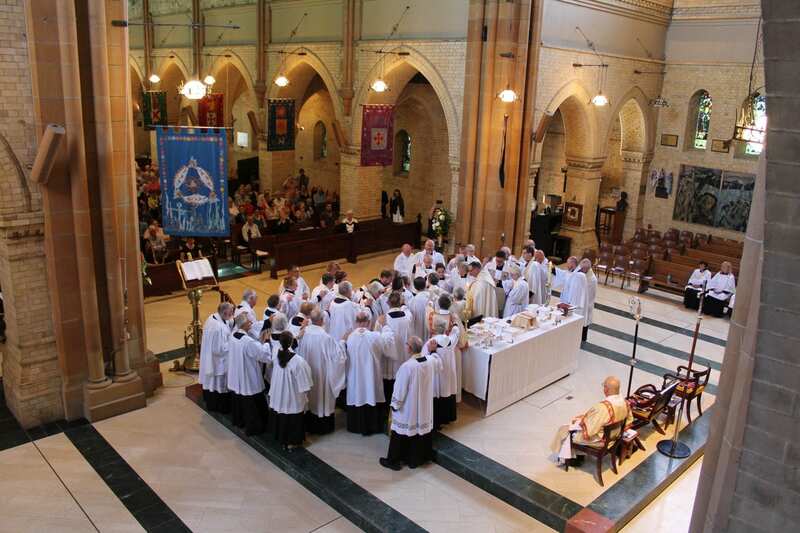 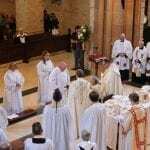 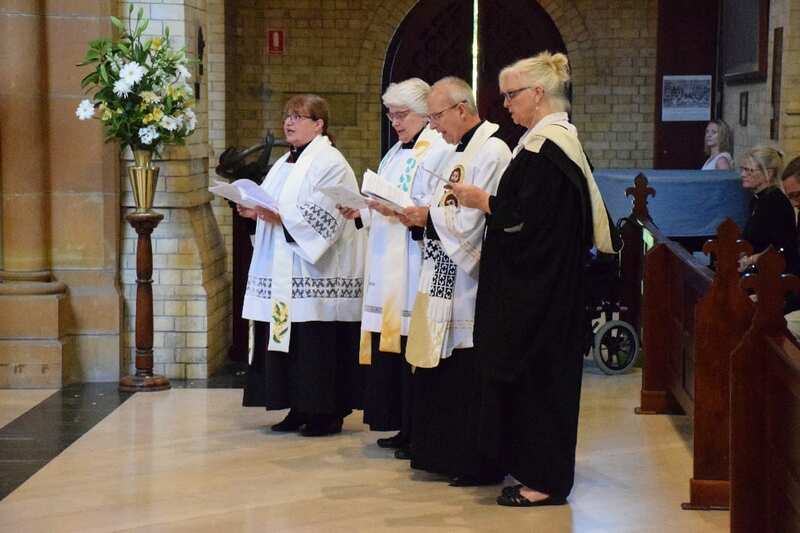 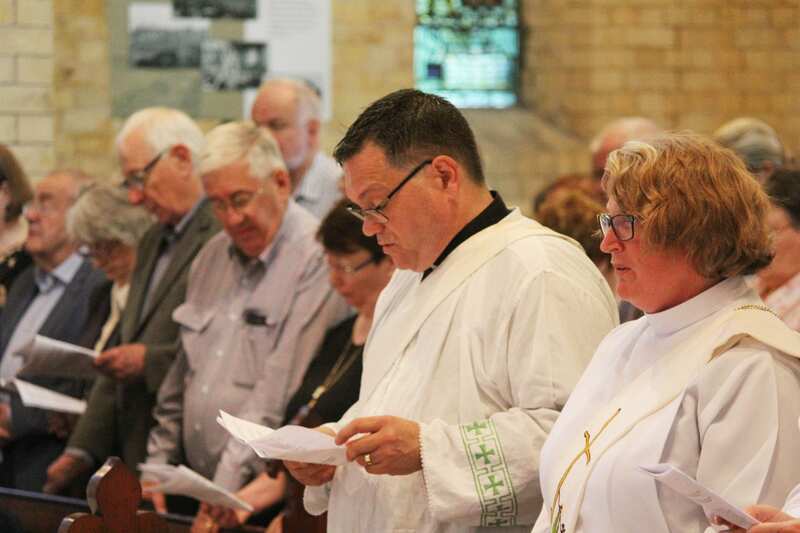 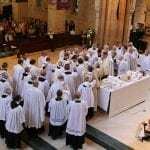 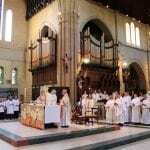 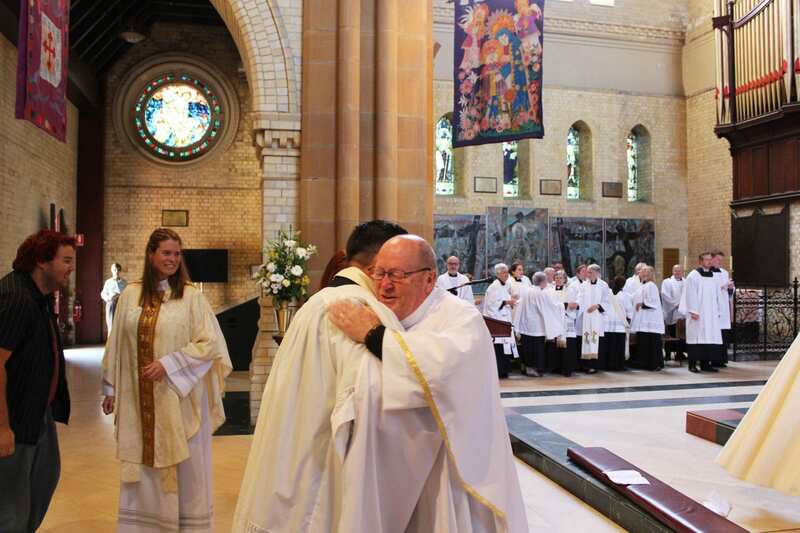 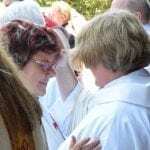 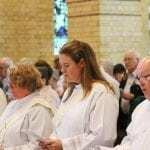 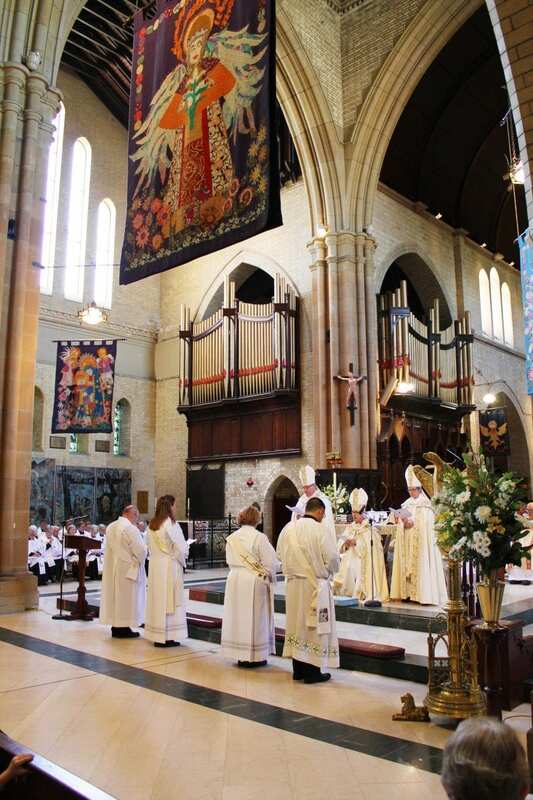 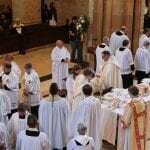 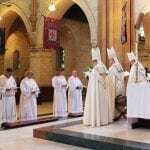 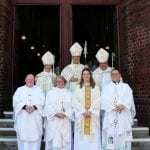 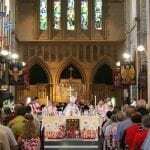 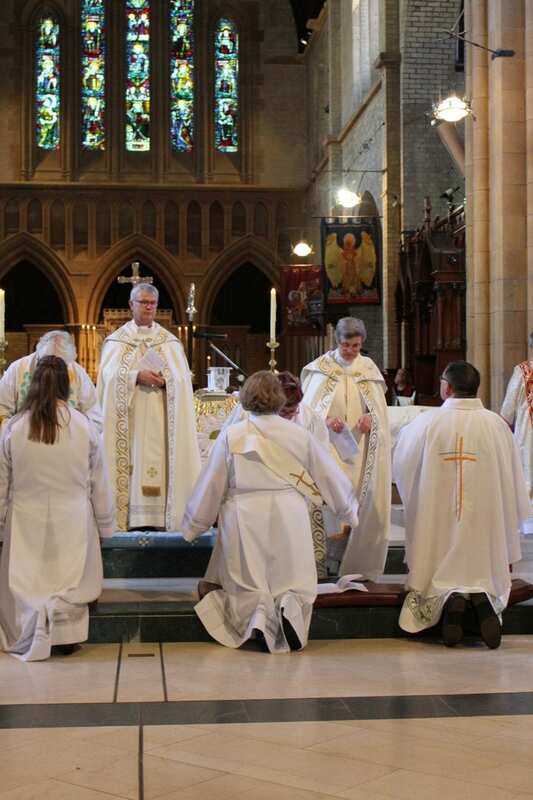 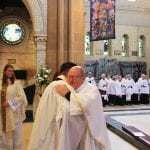 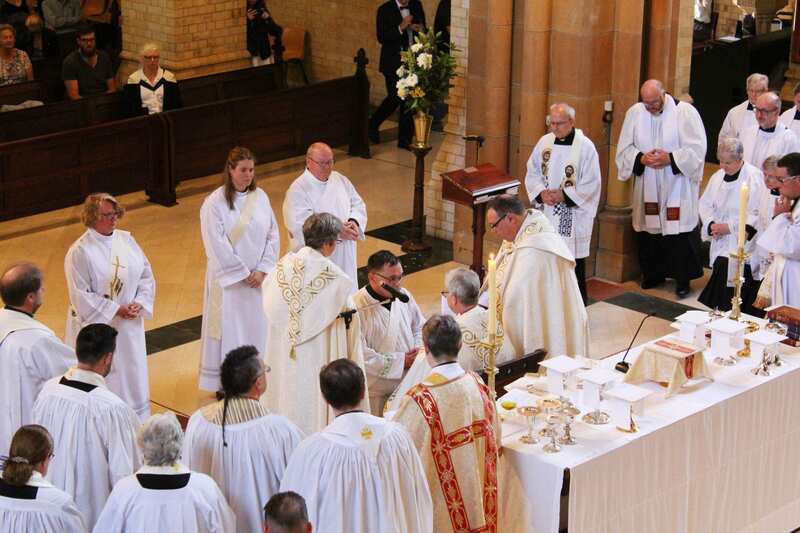 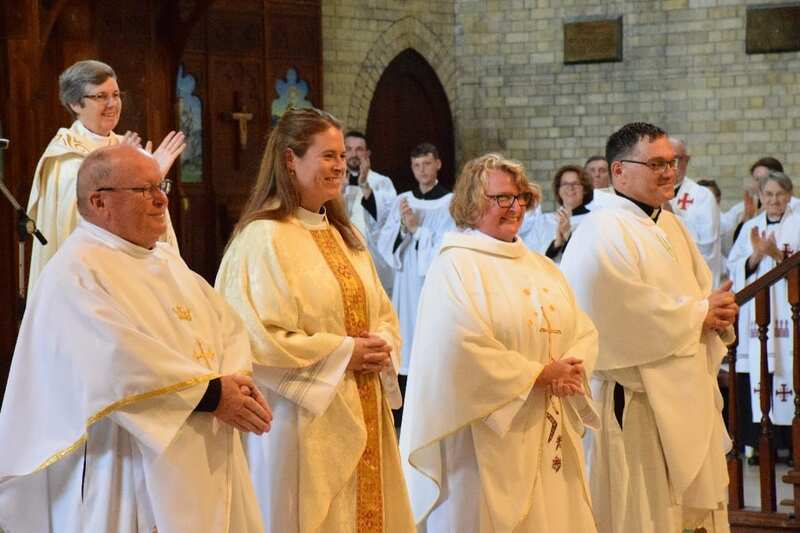 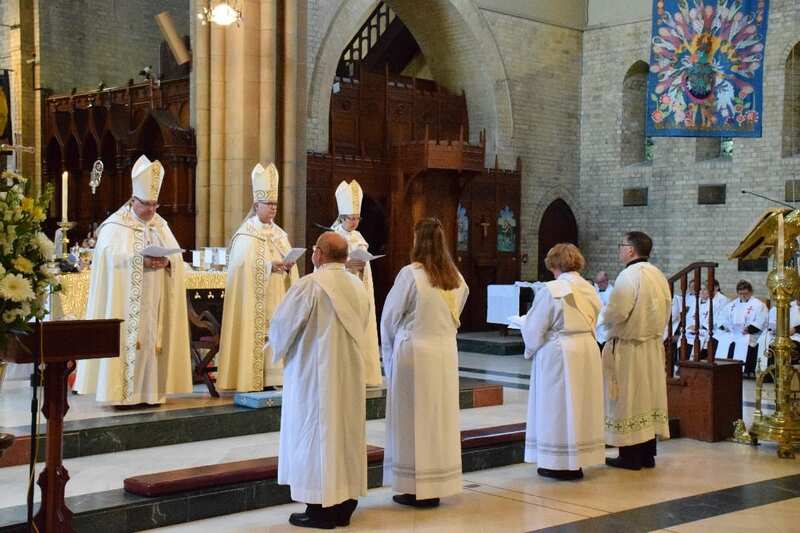 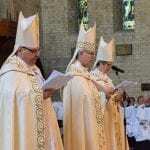 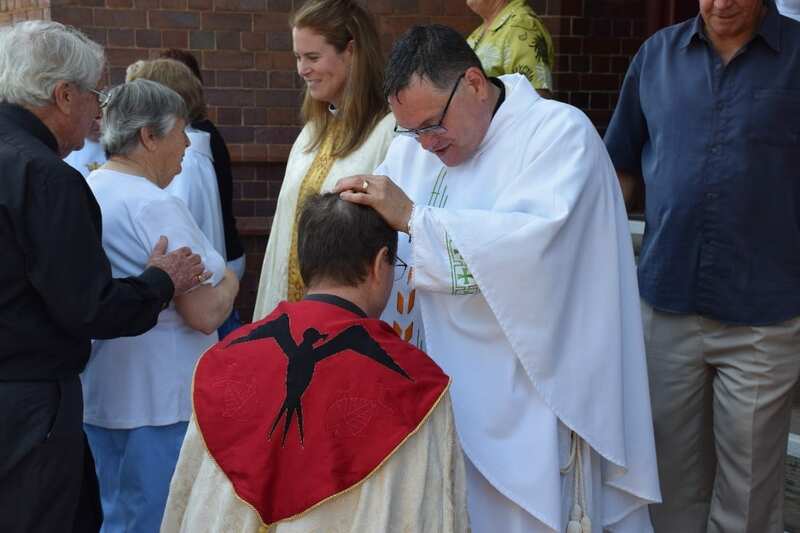 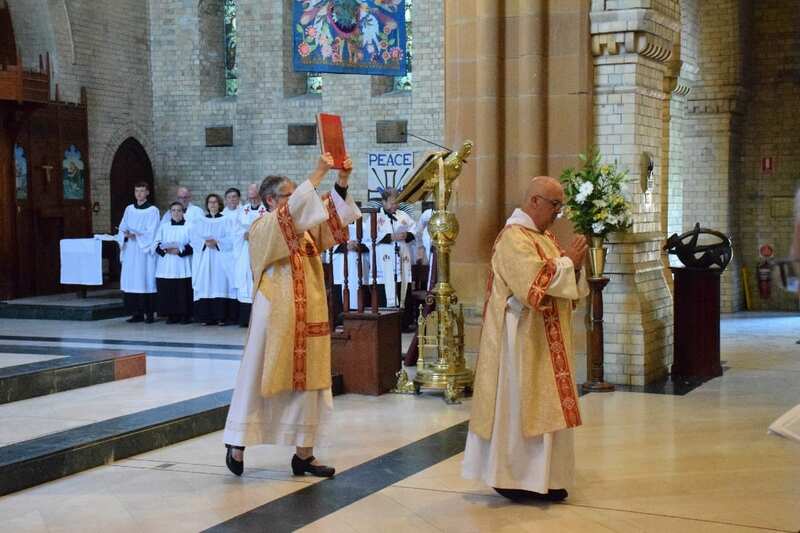 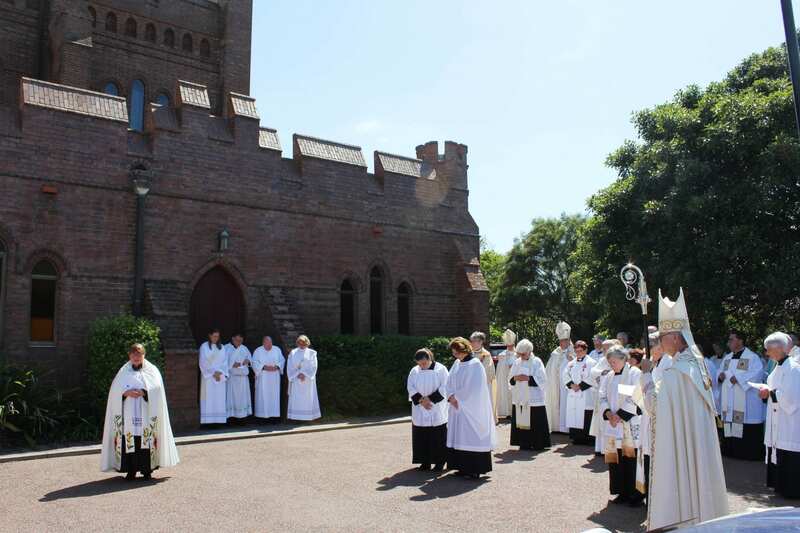 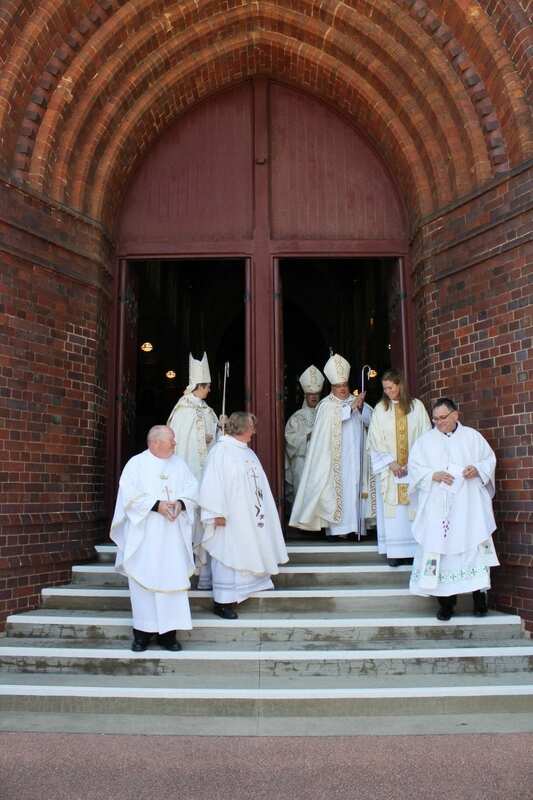 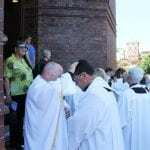 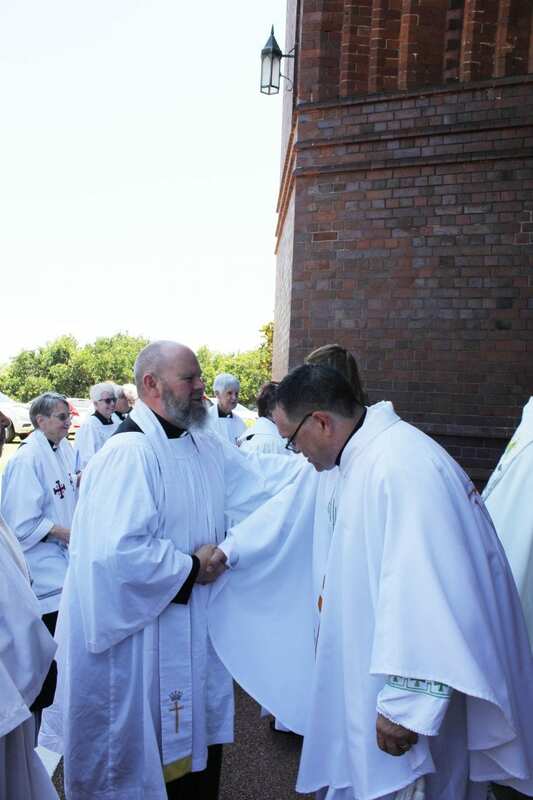 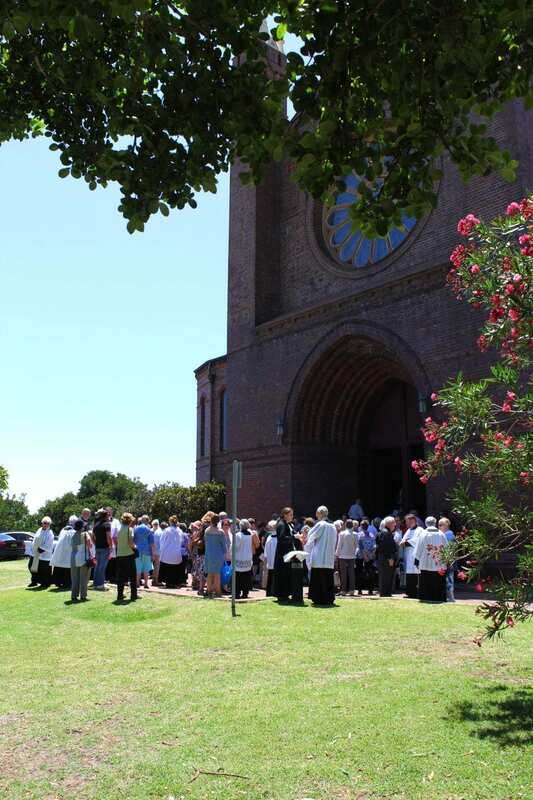 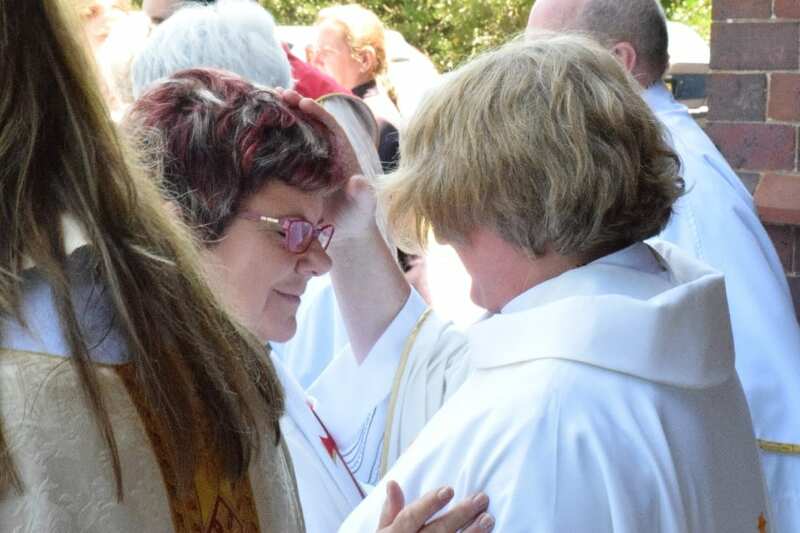 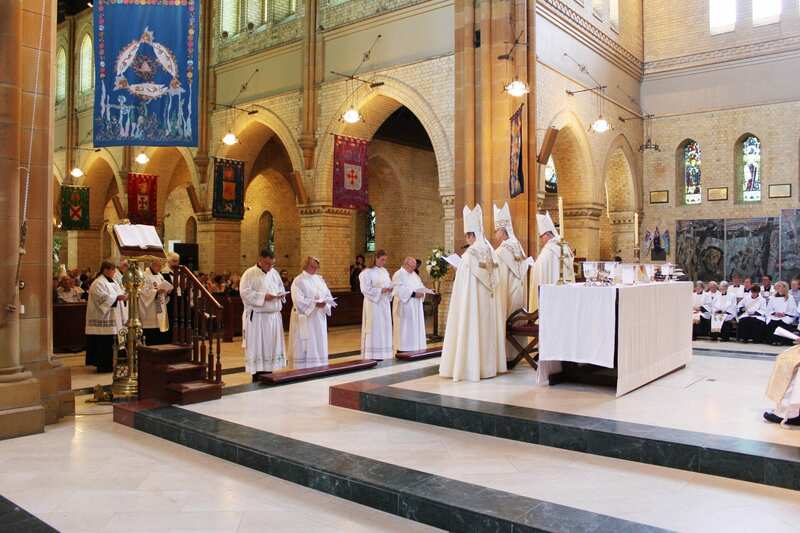 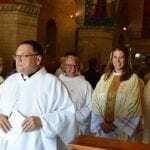 The Cathedral was full as family, friends, Bishops, clergy and visitors came together to celebrate what was a joy-filled occasion, marking the beginning of the priesthood journey for the ordinands. 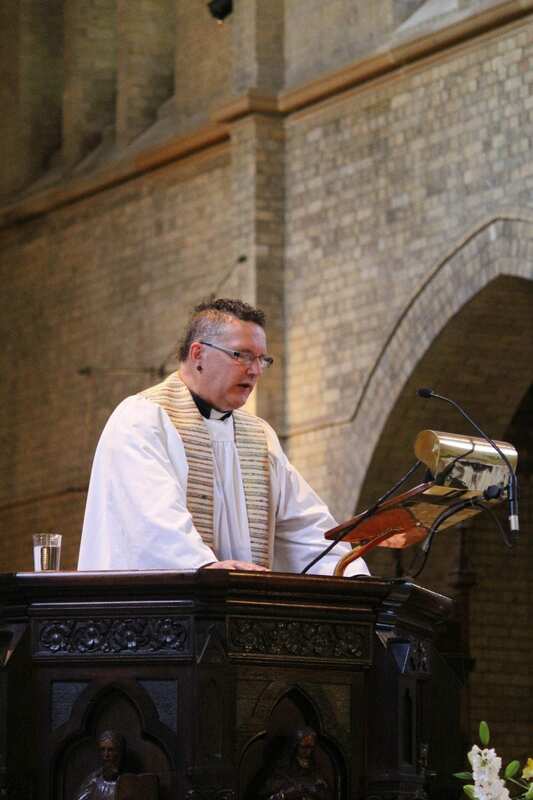 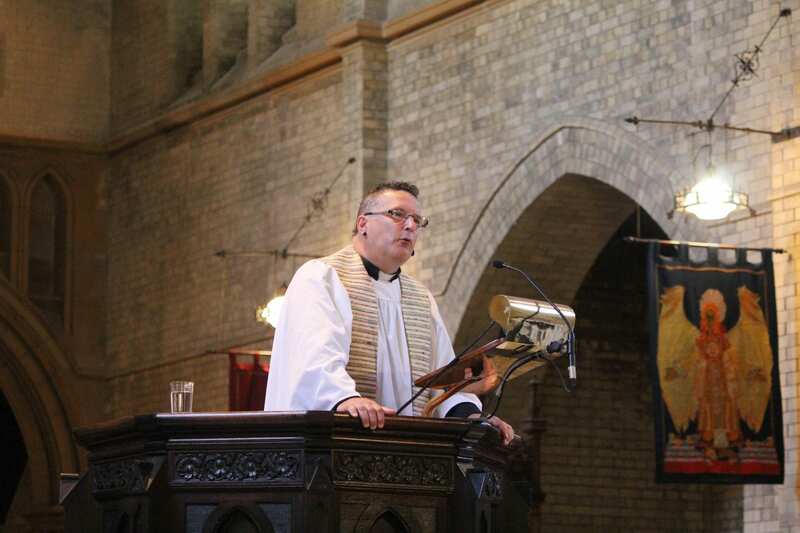 The Very Rev’d Dr Keith Joseph, Bishop-elect of North Queensland, was also in attendance. 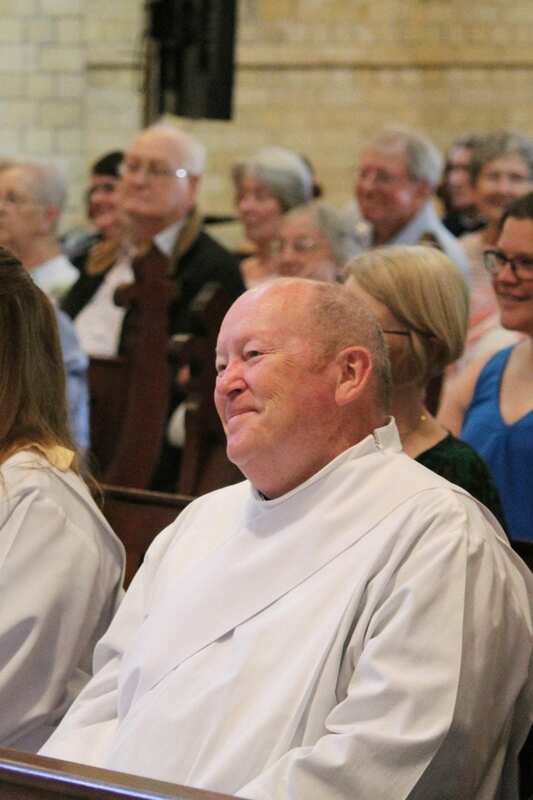 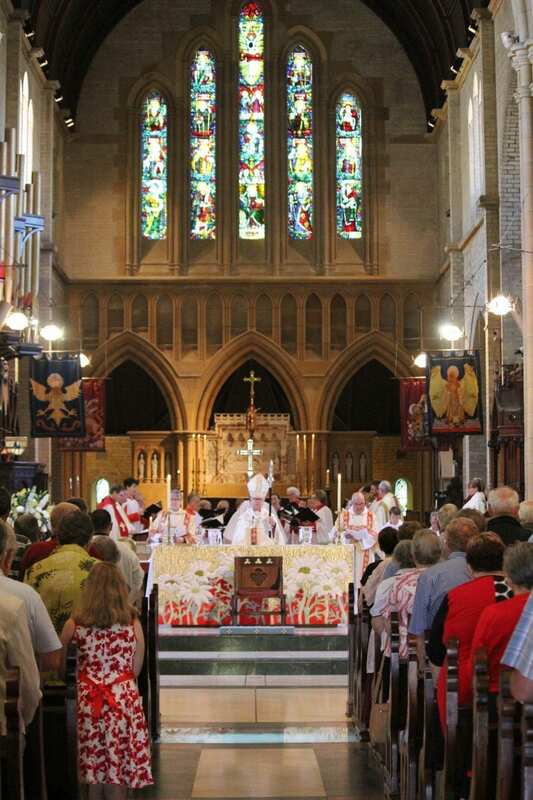 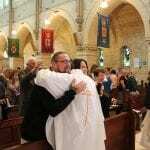 The Reverend Dr John Quilter to serve as Honorary Priest in the Cathedral parish. 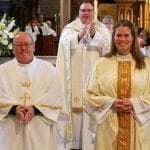 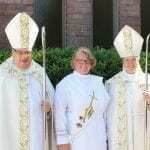 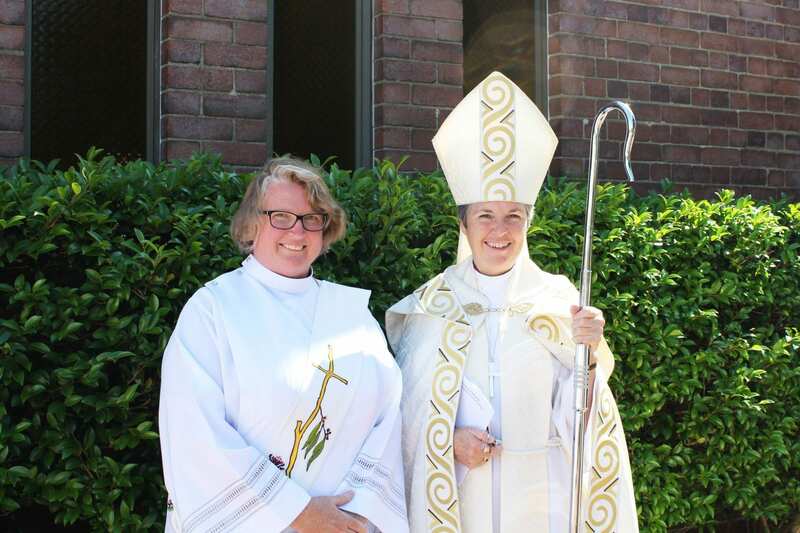 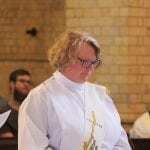 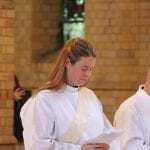 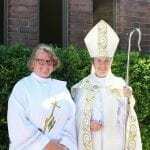 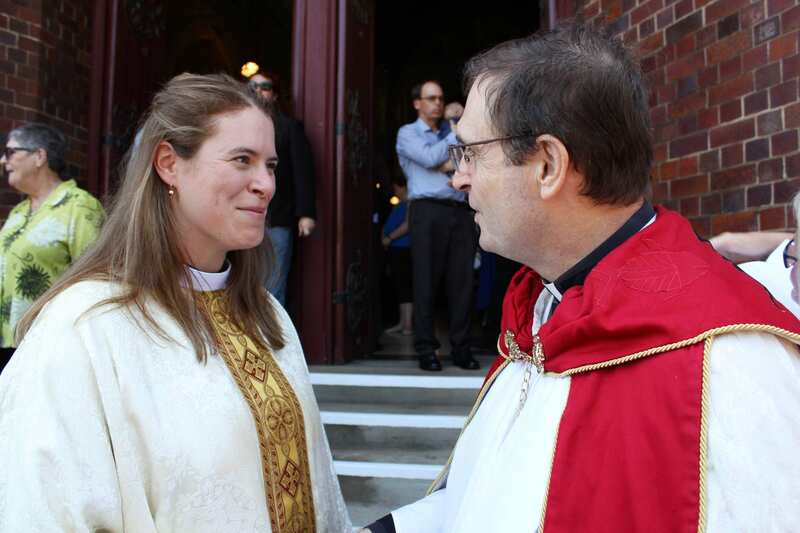 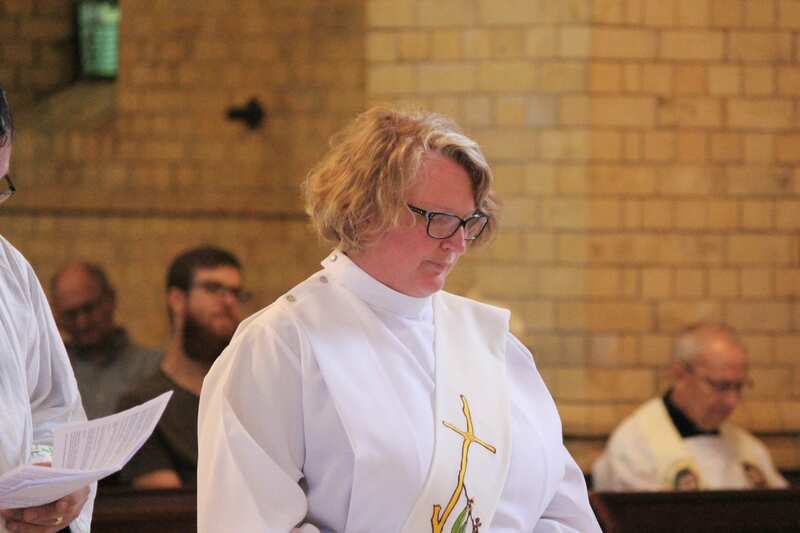 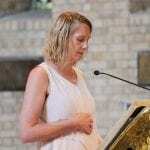 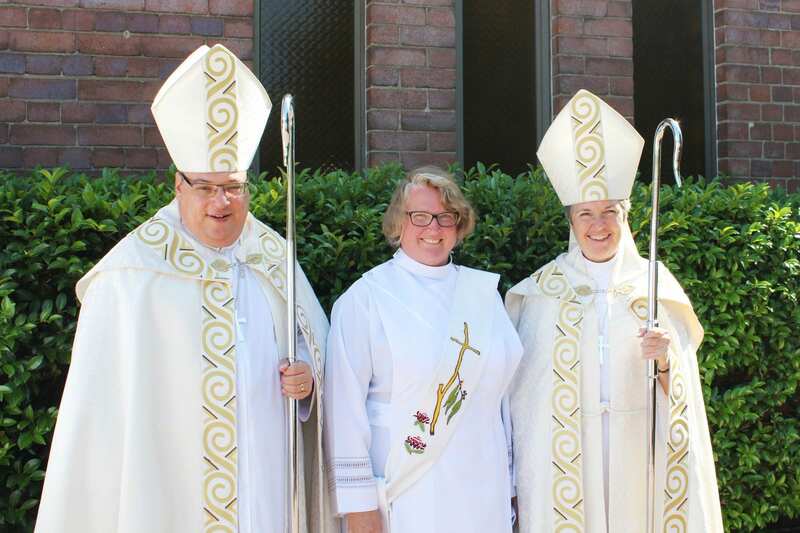 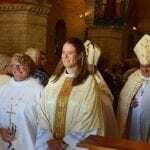 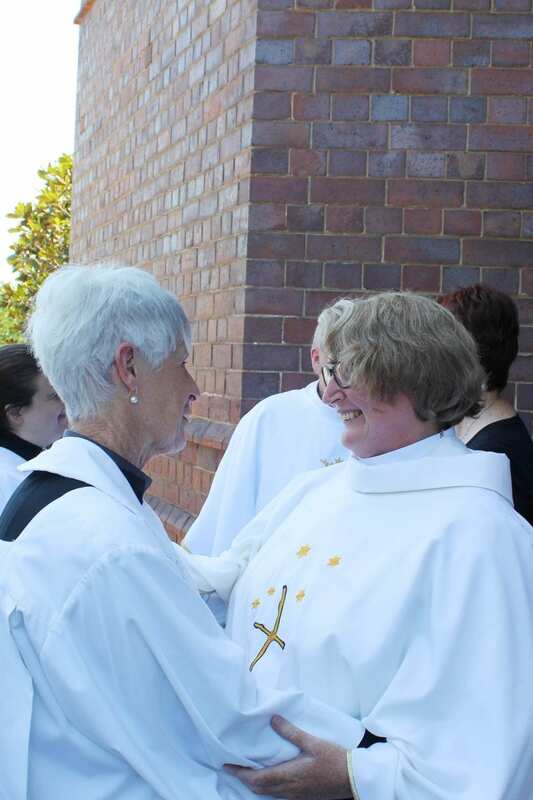 The Reverend Nicole Baldwin to serve as the Priest in Charge of Branxton, Greta and Lochinvar. 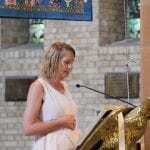 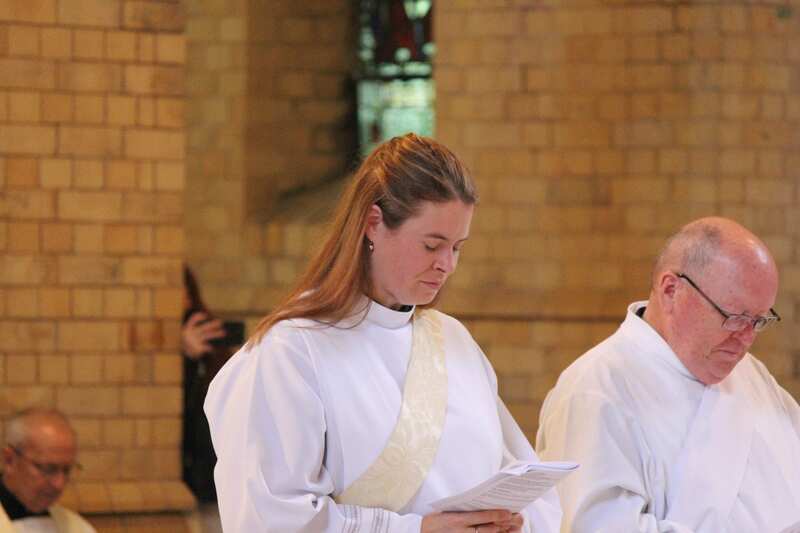 The Reverend Jacqueline Drewe to serve as the Priest in Charge of Morpeth. 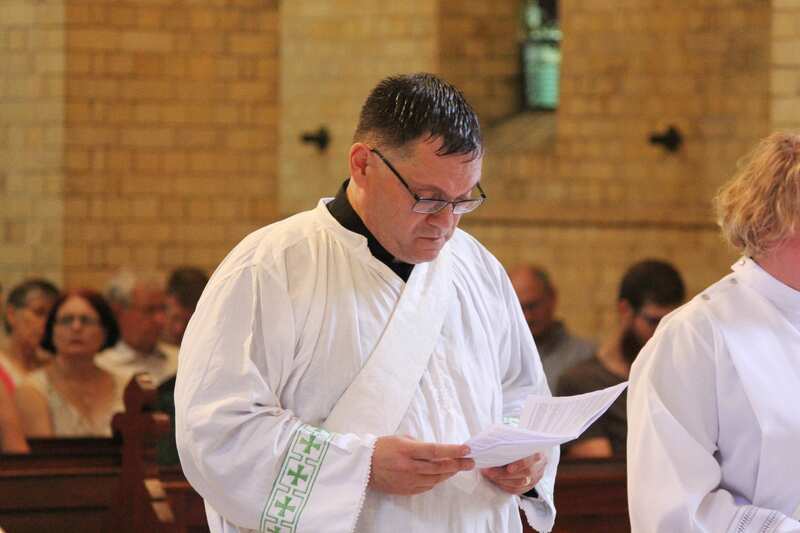 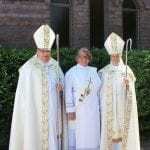 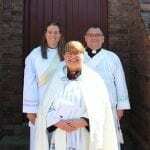 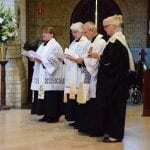 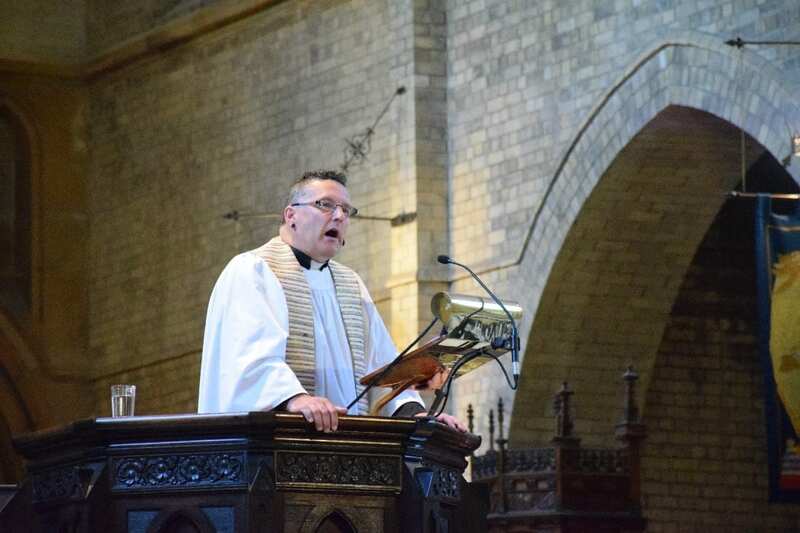 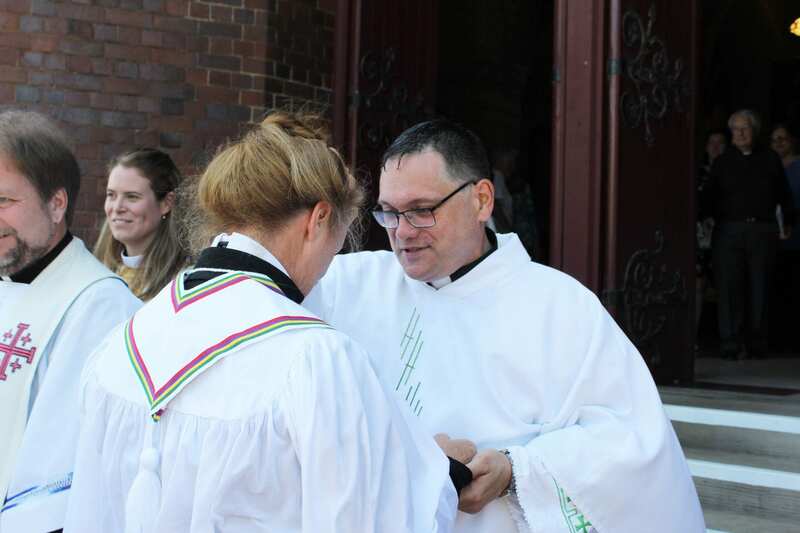 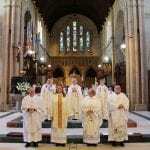 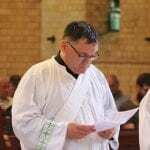 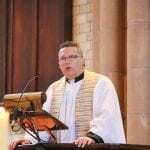 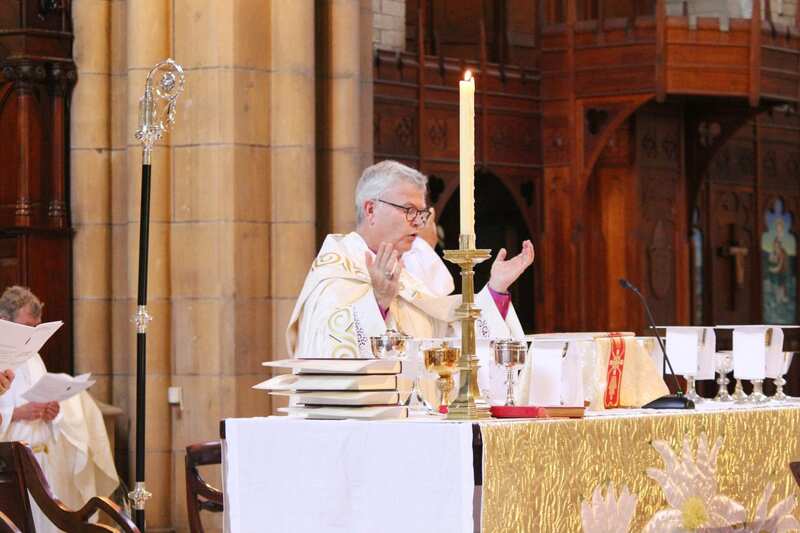 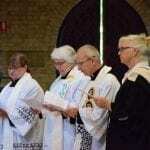 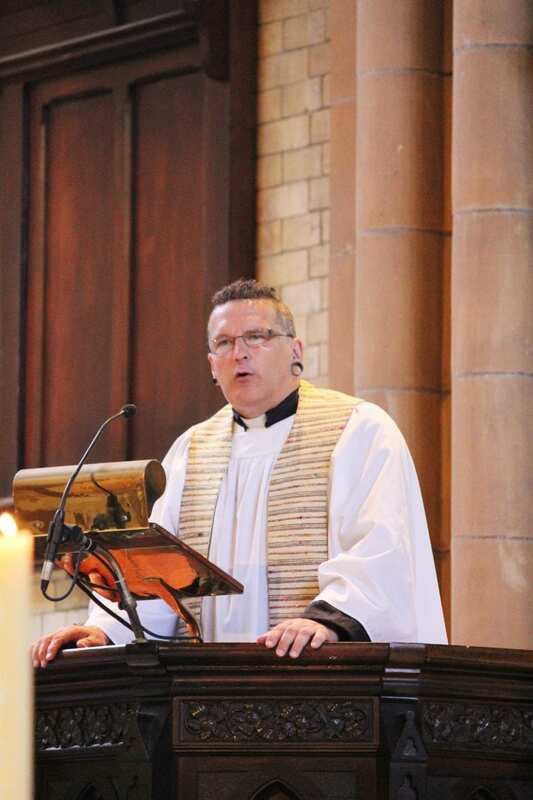 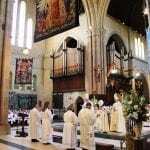 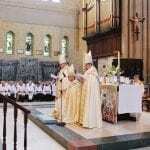 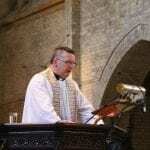 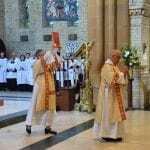 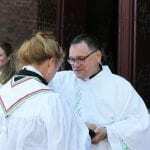 The Reverend Philip Morris to serve as Priest in Local Ministry in the Parish of Wallsend. 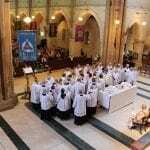 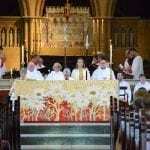 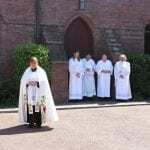 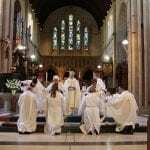 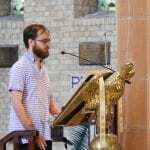 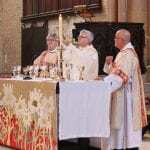 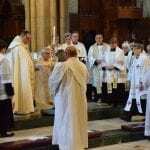 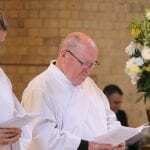 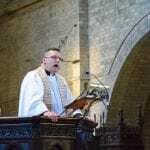 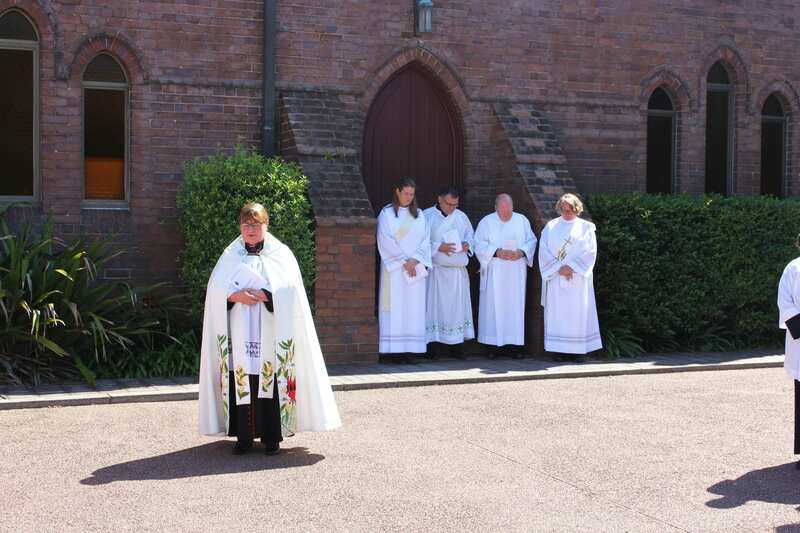 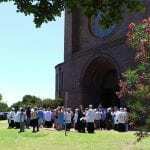 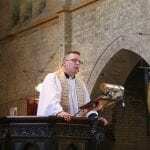 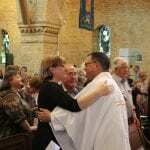 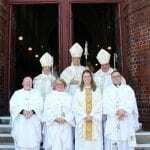 The Rev’d Doug Morrison-Cleary, Parish Priest of Beresfield-Thornton and Retreat Conductor, preached at the ordination. 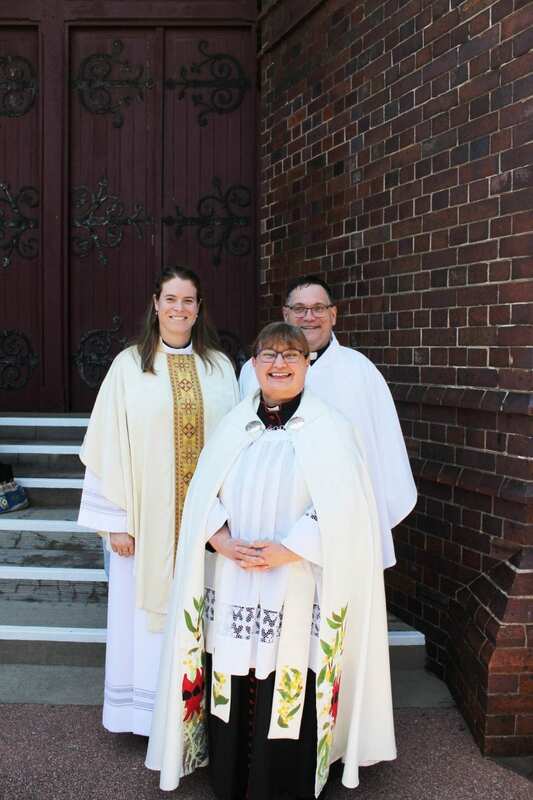 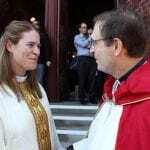 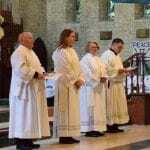 “Jacqui, Phil, Nicole and John, as you enter into the fullness of your vocation today, and whether you are numbered amongst the glass half full people flying high into the light like an Icarus who has conquered his doubts, or a glass half empty person walking into the darkness not knowing whether there is solid ground under your feet—keep moving forward. 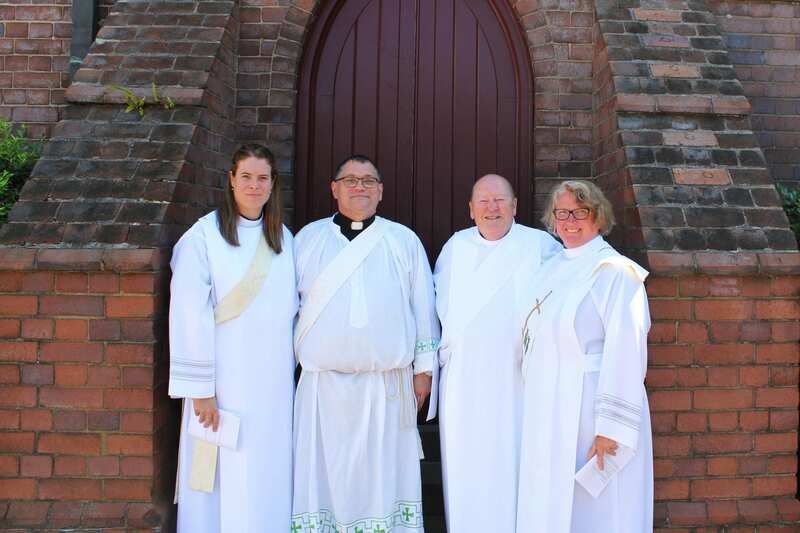 Be Jacqui, Phil, Nicole and John as you move forward, and no one else. 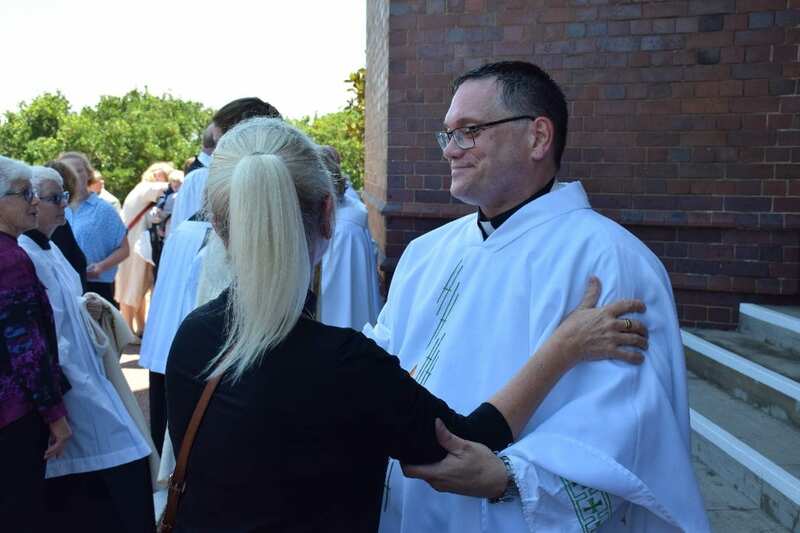 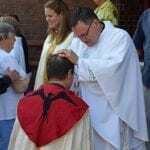 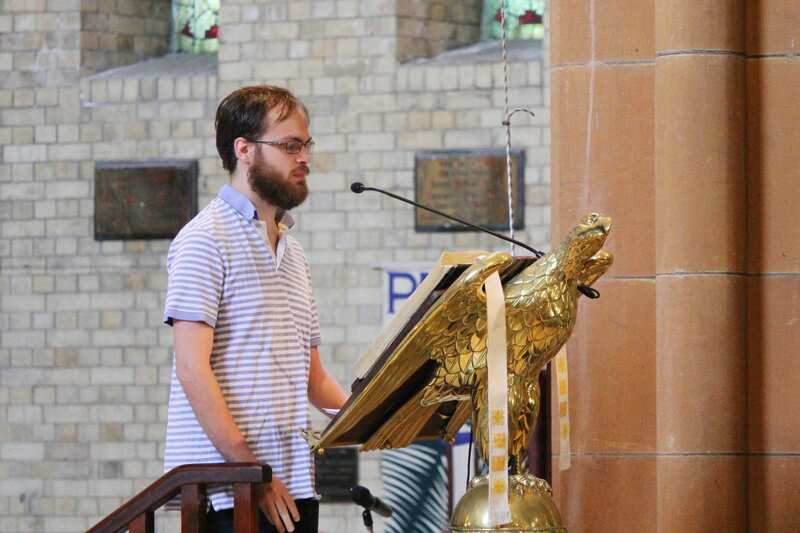 Allow metanoia, the change in perspective that comes from the journey, continue to make of you friends of Jesus, fools for Christ, lovers of a world waiting for love,” The Rev’d Doug Morrison-Cleary said. 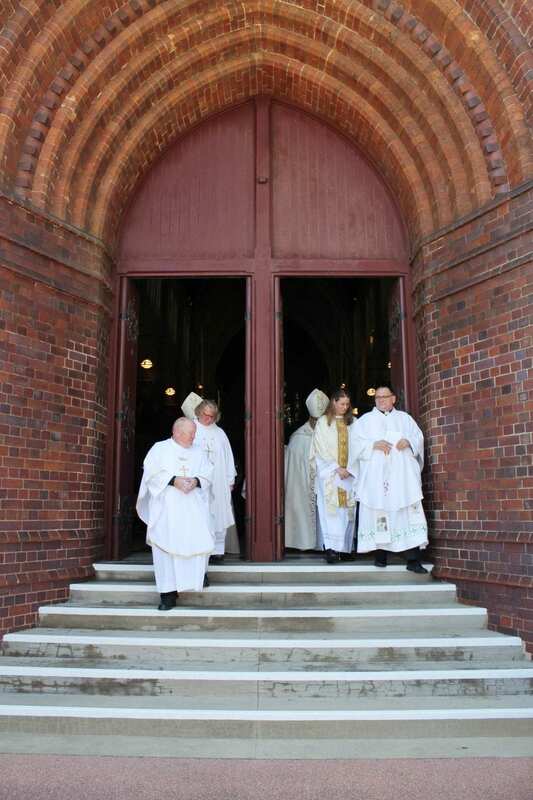 Photos by Grant Killen and Louise Mackay.